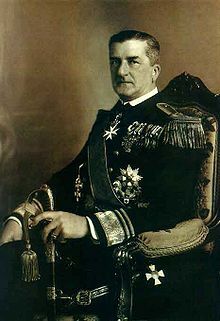 Vice-Admiral Miklós Horthy served as regent of the restored Kingdom of Hungary from March 1, 1920 until October 16, 1944. During this period of nearly 25 years, Hungary was an authoritarian democracy with a functioning multi-party parliament, though with significant restrictions on civil liberties and political pluralism. 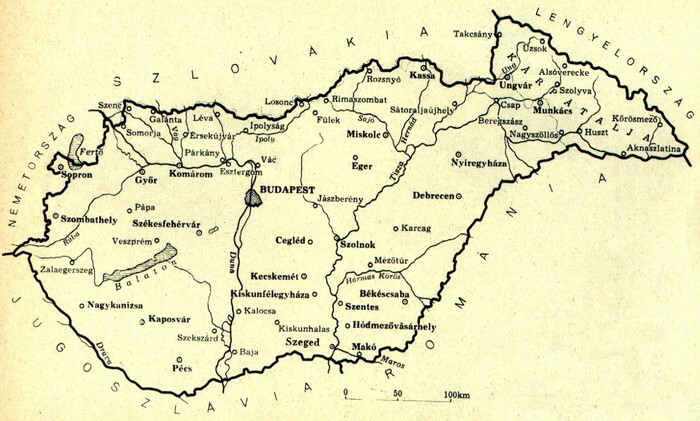 The main objectives of governments functioning under Horthy’s regency were: in domestic terms, to strengthen the neo-feudal Christian-nationalist foundations of the Hungarian state and contain the spread of Bolshevism; and, in external terms, to regain territories that Hungary lost via the June 1920 Treaty of Trianon. Hungary allied itself with the Axis powers in order to achieve the latter objective, participating in military operations against the Soviet Union on the Eastern Front from 1941 to 1945. With Horthy’s passive compliance, Hungarian authorities deported over 400,000 Jews to the Auschwitz concentration camp following the German occupation of Hungary in March 1944. Horthy, descendent of a mid-level noble family from east-central Hungary, served as commander of the Imperial and Royal Austro-Hungarian Navy during the final nine months of the First World War. Following the end of the war, he was appointed defense minister in the nationalist counter-government formed in the French-occupied city of Szeged at the time of the Hungarian Soviet Republic in May 1919. 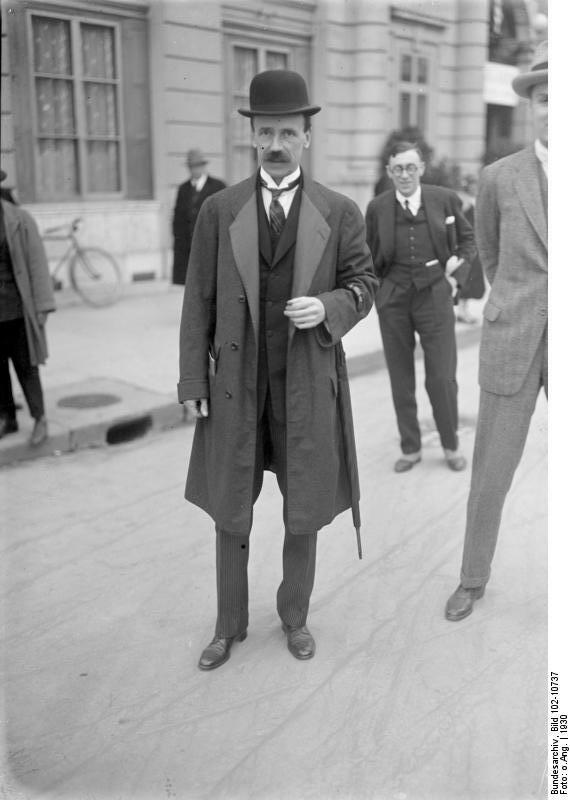 As defense minister in this counter-government, Horthy began raising the so-called National Army (Nemzeti Hadsereg) in June 1919 with the objective of overthrowing the Hungarian Soviet Republic that had been founded three months previously. Shortly after the downfall of the Béla Kun-led proletarian dictatorship on August 1, 1919, Horthy moved the headquarters of the National Army from Szeged to Siófok along the south shore of Lake Balaton. At this location Horthy began to operate autonomously, subordinating the National Army to neither the counter-government in Szeged nor the newly installed Christian-nationalist government of Prime Minister István Friedrich in Budapest. 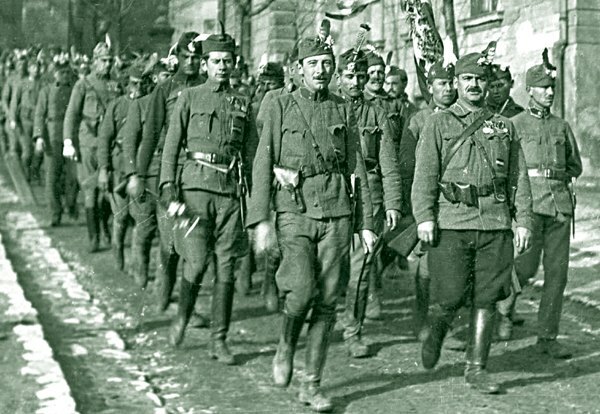 By the early autumn of 1919, Horthy’s National Army had recruited around 30,000 soldiers, most of them veterans of the First World War. The army of the Kingdom of Romania unilaterally advanced beyond stipulated post-First World War military demarcation lines to occupy Hungary up to the line of the Tisza River by May 1, 1919. Following a Hungarian Red Army counterattack along the Tisza in July 1919, the Romanian Army launched an offensive under the command of General Traian Moşoiu that quickly reached Budapest, thus causing the collapse of the Hungarian Soviet Republic, and subsequently occupied most of Transdanubian Hungary with the exception of the region south of Lake Balaton that had come under the control of the National Army. Following its occupation of Budapest on August 4 and 5, 1919, the Romanian Army began to systematically requisition railway locomotives and wagons, industrial machinery, medical equipment and food in the city under the pretext of securing war reparations. On October 5, 1919, United States Major General Harry Hill Bandholtz, who was in Budapest as a member of the Inter-Allied Military Mission, personally intervened to prevent Romanian Army trucks from removing a significant portion of the collection from the Hungarian National Museum. 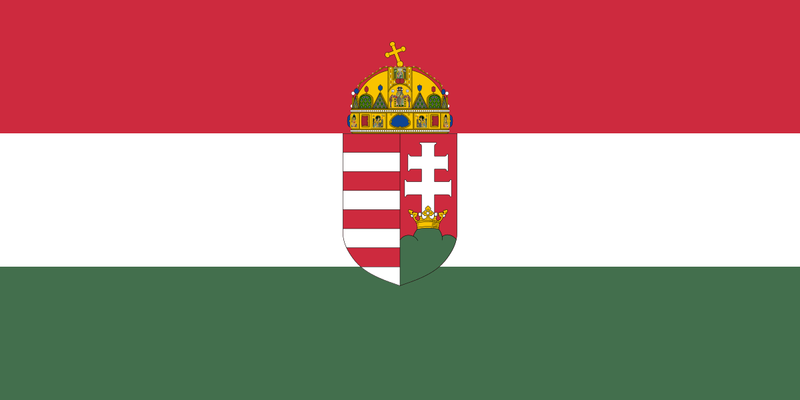 Horthy-era flag of the Kingdom of Hungary. In October 1919, the Entente Powers sent a mission under the leadership of British diplomat George Russell Clerk to Budapest in order to oversee the formation of a new government and national legislature that would possess both the domestic and international authority necessary to legitimately ratify the post-war peace treaty being prepared for Hungary at the Paris Peace Conference. The Clerk Mission was also assigned the task of persuading the Romanian Army to cede control of the territory it had occupied west of the Tisza River to a Hungarian military force in order to restore Hungary’s state sovereignty prior to the signing of the treaty. National Army commander Horthy enters Budapest. On November 5, 1919, Horthy and Clerk concluded an agreement in Budapest according to which the National Army would be allowed occupy all territories that the Romanian army evacuated in Hungary, though would subsequently place itself under the command of the new government to be formed under the British diplomat’s supervision. The representatives of the Entente Powers in Budapest then persuaded Romanian Army commanders to remove their forces from the city beginning on November 14 as part of a general withdrawal to the Tisza River. When we were still far from here and only a ray of hope glimmered in our souls, then, I will say, we detested and cursed Budapest, because we did not see in her those who had suffered, who became martyrs, but the filth of the country that had flowed together here. We loved and respected this city, which over the past year became the depraver of the nation. Here on the banks of the Danube I arraign the Hungarian capital: this city denied its one-thousand-year history and trampled the crown and national colors into the mud and clothed itself in red rags. This city threw into jail and drove into exile the finest people of the homeland and in one year squandered all our wealth. On November 24, Austro-Hungarian Monarchy-era Catholic People’s Party National Assembly representative Károly Huszár formed a new, Christian-nationalist government under the auspices of the Clerk Mission to replace that of Prime Minister István Friedrich, whom the Entente Powers suspected was intending to restore Habsburg rule and had therefore refused to recognize. Christian National Union Party election poster. The Huszár government called National Assembly (Nemzetgyűlés) elections to be held on January 25–26, 1920 in the areas of Hungary that were not under Czecho-Slovak, Romanian or Serbian military occupation. These elections, which were conducted via secret ballot and opened to all Hungarian citizens, including women over the age of 24, resulted in a governing coalition composed of two parties that won nearly 94 percent of all mandates in the National Assembly: the Christian National Union Party (Keresztény Nemzeti Egyesülés Pártja) and the National Smallholders’ and Farmers’ Party (Országos Kisgazda- és Földműves Párt). Both of these parties strongly supported the restoration of the Kingdom of Hungary that had come to an end with the establishment of the First Hungarian Republic in November 1918. Some National Assembly representatives, particularly from the Christian National Union Party, favored returning Charles IV of the House of Habsburg-Lorraine, the final emperor-king of the Austro-Hungarian Monarchy, to the throne of Hungary, though the Entente Powers had indicated that they would not accept this option. Others, mainly from the National Smallholders’ and Farmers’ Party, advocated the appointment of a Hungarian “national king.” National Assembly representatives finally approved Prime Minister Huszár’s proposal to elect a regent to temporarily serve as head of state until a permanent solution to the Habsburg king vs. national king question could be found. The candidates for provisional head of state quickly narrowed to National Army commander Horthy and the head of Hungary’s Paris Peace Conference delegation, Count Albert Apponyi. On March 1, 1920, the National Assembly elected Horthy to serve as regent of the restored Kingdom of Hungary by a vote of 141 to 9 with one abstention. National Army officers formed so-called “detachments” (különítmény) after the force moved its base of operations from Szeged to Siófok on August 1, 1919 in order to conduct reprisals for the Red Terror that had claimed several hundred lives in the region of southern Transdanubia at the time of the Hungarian Soviet Republic in May and June of that year (see The Hungarian Soviet Republic). Operating primarily under the command of Pál Prónay and István Héjjas, these National Army detachments killed between 600 and 2,000 Hungarian Soviet Republic officials and actual or suspected supporters over the following year (source A and B in Hungarian). These reprisals, which often assumed the character of anti-Semitic pogroms, are known collectively in Hungarian history as the White Terror. The most infamous of these reprisals/pogroms took place in the village of Orgovány, where a National Army detachment under the command of István Héjjas murdered 36 people in November 1919. National Army commander-in-chief Miklós Horthy issued no written orders to engage in such acts of lethal retribution, though he provided Prónay and Héjjas with explicit or implied consent to carry through with extralegal killings. During the summer of 1920, Regent Horthy and newly appointed Prime Minister Pál Teleki began the process of disbanding the increasingly wayward detachments, using the army and police to dissolve units in Budapest in November 1920. However, Prónay and Héjjas continued to command autonomous military detachments in western Hungary until the final months of 1921. Post-Trianon borders of greater Hungary. On June 4, 1920, representatives from the Entente Powers and allied states concluded a peace treaty at the Grand Trianon palace in Versailles, France with representatives from Hungary formally ending the First World War. The Treaty of Trianon annexed 71.4 percent of the territory of the Dual Monarchy-era Kingdom of Hungary that had existed from 1867 to 1918 to the enlarged Kingdom of Romania and the newly founded states of Czechoslovakia, the Kingdom of Serbs, Croats and Slovenes (the future Yugoslavia) and the Republic of Austria. A total of 63.5 percent of the 20.9 million inhabitants of the Dual Monarchy-era Kingdom of Hungary resided in the territories annexed to these states via the treaty. However, only one-quarter of the approximately 13 million people who lived in the annexed territories were Hungarians, while the rest were Romanians, Slovaks, Ruthenes (Ukrainians), Serbs, Croatians, Slovenes, Germans and others who had lived as national minorities in the Dual Monarchy-era Kingdom of Hungary. A total of 3.3 million—or around one-third—of the 10 million Hungarian inhabitants of the Dual Monarchy-era Kingdom of Hungary were therefore consigned to minority status in the enlarged and successor states of Romania, Czechoslovakia, the Kingdom of Serbs, Croats and Slovenes and Austria despite the declared objective of the arbiters of the post-war peace to redraw the map of the Dual Monarchy of Austria-Hungary according to the Wilsonian principle of self-determination. Mourning the loss of Kolozsvár (Cluj) to Romania. The Treaty of Trianon specifically annexed large segments of predominantly Hungarian-inhabited territory located along the newly defined borders of Hungary to Czechoslovakia, Romania and the Kingdom of Serbs, Croats and Slovenes primarily in order to transfer the vital west-east railway lines that ran through these areas to the latter states. 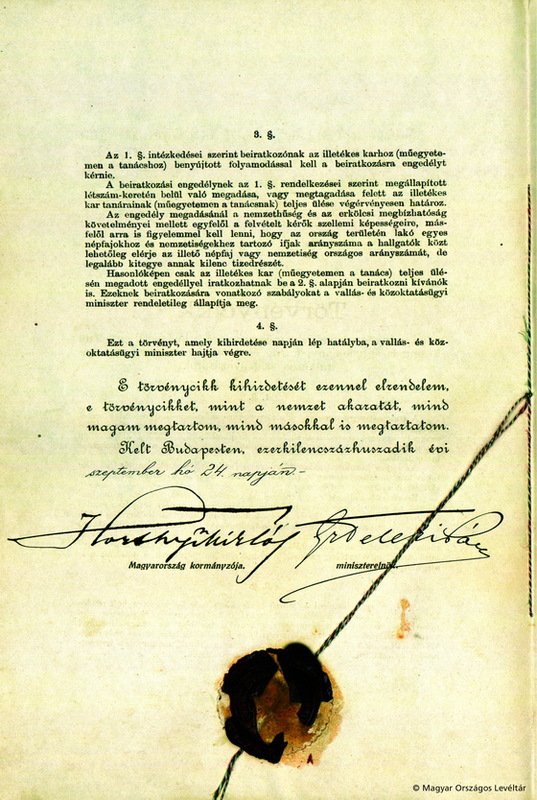 The Treaty of Trianon also banned military conscription in the newly restored Kingdom of Hungary, stipulating that the all-volunteer Hungarian Defense Force (Magyar Honvédség) could recruit no more 35,000 soldiers, and also prohibited the country from purchasing or manufacturing tanks, armored vehicles and war planes. The treaty also specified that the Kingdom of Hungary would have to pay war reparations of an undetermined sum for a 30-year period beginning in 1921. Hungary’s National Assembly reluctantly ratified the Treaty of Trianon on November 15, 1920 and enacted the treaty into law the following year. The foreign policy of all governments in Hungary during the Horthy era was focused on revision of the Treaty of Trianon. Although these governments maintained their claim to all lands lost to neighboring states via the treaty, they also held the more pragmatic objective of securing the return to Hungary of all annexed territory in which Hungarians formed the majority or plurality of the population, at the very least such regions lying contiguous to the borders. I believe in Hungary’s resurrection! The unofficial motto of the Horthy era was the title of Attila József’s irredentism poem No, No, Never! (Nem, nem, soha!). 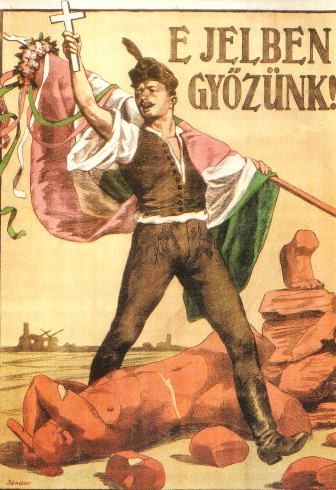 Popular revisionist organizations such as the Hungarian Territorial Defense League (Magyar Területvédő Liga) and the Hungarian Revisionist League (Magyar Revíziós Liga) were active in Hungary from the end of the First World War until the beginning of the Second World War. The Numerus Clausus law bearing signatures of Regent Horthy and Prime Minister Teleki. In September 1920, the National Assembly adopted a law regarding the “regulation of registration” at universities. This legislation, known as the Numerus Clausus (Closed Number), stipulated that the number of students from various “races” (népfaj) and nationalities admitted to universities in Hungary could not exceed the proportion of the given race or nationality within the country’s total population. Though this law did not cite any specific race or nationality, it was manifestly intended to reduce the number of Jewish students studying at universities in Hungary from just over 25 percent of all students just before the First World War to the proportion of Jews within the total population of Hungary—or around 6 percent. As a result of the Numerus Clausus, which is considered to be the first “Jewish law” in twentieth-century Europe, the number of Jews declined to under 10 percent of all university students in Hungary for the first time in decades in the 1924–1925 academic year and dipped to as low as 8.3 percent in 1927–1928. Acting under pressure from the League of Nations, the National Assembly amended the Numerus Clausus in 1928, replacing the law’s restriction of students admitted to universities based on race and nationality with quotas based on the occupation of the parents of students. Although the modified Numerus Clausus continued to prevent many Jewish students from attending universities in Hungary, the number of Jews rose back over 10 percent of the total population of university students in the country as a result of the amendment (source for all data in Hungarian). On September 10, 1919, the Entente Powers and allied states concluded a post-First World War peace agreement with the Republic of German-Austria known as the Treaty of Saint-Germain-en-Laye, which stipulated the annexation of the northwestern section of the Dual Monarchy-era Kingdom of Hungary to the new Republic of Austria established via the agreement. Just under 75 percent of the approximately 290,000 people living on this territory were German, while 15 percent were Croat and 9 percent Hungarian. Hungary ratified the transfer of the designated territory to Austria via the above-mentioned Treaty of Trianon signed on June 4, 1920. Pursuant to an allied Conference of Ambassadors decree, the Republic of Austria planned to conduct the official annexation of this territory, to be known as the state of Burgenland with its capital in the city of Ödenburg (Sopron), on August 28, 1921. However, former National Army detachment leaders Pál Prónay and István Héjjas had in the meantime taken command of a volunteer militia in western Hungary known as the Ragged Guard (Rongyos Gárda) in order to prevent Austria from annexing Burgenland. With the unofficial approval of the Hungarian government of Prime Minister István Bethlen, the Ragged Guard and legitimist irregulars under the command of Gyula Ostenburg-Moravek repelled units of the Austrian gendarmerie that attempted enter Burgenland in a series of skirmishes beginning on August 28. 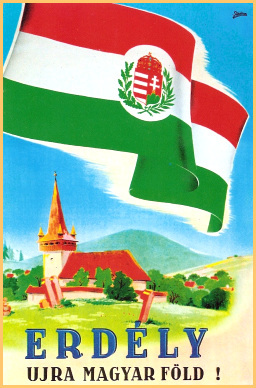 On October 4, 1921, the Ragged Guard declared the foundation of an independent state on the territory designated for annexation to Austria called the Leitha Banat (Lajtabánság) with the town of Felsőőr (Oberwart) as its capital and Prónay as its leader. No government, not even that of Prime Minister Bethlen, recognized the Leitha Banat. 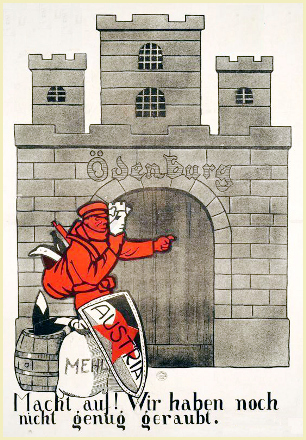 German-language pro-Hungary Sopron/Ödenburg plebiscite poster. On October 13, the governments of Hungary and Austria reached an Italian-brokered agreement known as the Venice Protocol in which the Bethlen government agreed to remove the Hungarian militias from the territory of the Burgenland in exchange for the holding of plebiscites in the city of Sopron and eight surrounding villages to determine whether they would be annexed to Austria according to the treaties of Saint-Germain-en-Laye and Trianon or remain in Hungary. The Bethlen government mobilized troops to disarm the Ragged Guard, though the militia voluntarily evacuated the territory of its self-declared Leitha Banat on November 5, 1921. In a plebiscite held on December 14–16, 1921, the city of Sopron—the population of which was slightly over half German according to 1910 census data—and the eight nearby villages voted to remain in the Kingdom of Hungary by a margin of 65 percent to 35 percent. The city of Sopron has therefore become known in Hungary as the Civitas fidelissima (Most Faithful City). 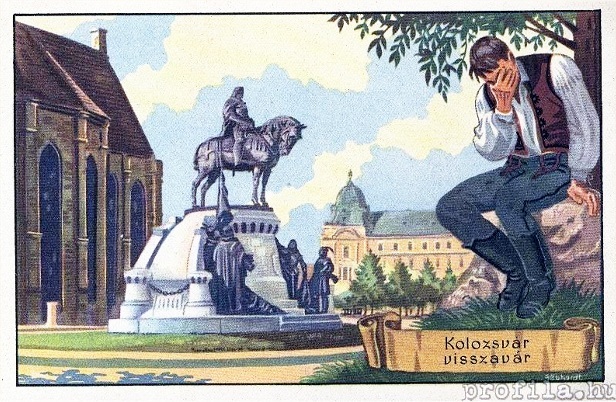 Charles IV salutes legitimist troops in Hungary in 1921. Charles IV made two unsuccessful attempts in 1921 to reclaim the throne of the Kingdom of Hungary in what are known in Hungarian as the first and second “royal putsch” (királypuccs). Although Charles issued a statement on November 13, 1918 in which he declared that “From this time on, I withdraw from all participation in the affairs of state [of Hungary],” he had never formally abdicated the throne. The restoration of the Kingdom of Hungary in 1920 thus presented him with the opportunity to assert his claim to the crown. On March 26, 1921, Charles traveled to Hungary from Switzerland by train using a forged Spanish passport. Charles believed that once in Hungary the population of the country would broadly support his claim to the throne and that Regent Horthy, as provisional head of state, would be willing to voluntarily cede power to him. However, in a meeting with Horthy in Budapest on March 27, the regent refused Charles’s request to recognize him as king on the grounds that to do so would entail conflict with the Entente Powers and the neighboring states. With no military force at his disposal and lacking the popular support he had expected, Charles elected to withdraw to his base in western Hungary instead of further pressing his claim to the throne. The Entente military then escorted the former king back to Switzerland on April 5. Pro-Horthy irregulars await Charles IV in Budaörs. On October 20, 1921, Charles made his second attempt to reclaim the throne of the Kingdom of Hungary, traveling by airplane to the nominally independent Leitha Banat at the urging of legitimist military officers Colonel Antal Lehár and Major Gyula Ostenburg-Moravek. After landing at the estate of a legitimist supporter, Charles went to Sopron, where he formed a provisional government. Charles then went to Budapest by train with a small army under the command of Ostenburg-Moravek in order to seize power from Horthy through the use of military force if necessary. However, a rapidly organized militia composed largely of university students stopped Charles’s train in the town of Budaörs, just west of Budapest, on October 23 and defeated Ostenburg-Moravek’s legitimist forces in a pitched battle during which about two dozen combatants were killed. Charles and his wife Zita were subsequently captured and turned over to the British Royal Navy, which took them into permanent exile on the Portuguese island of Madeira in the Atlantic Ocean in early November. These “royal putsches” eliminated nearly all previous support in Hungary for restoration of the House of Habsburg-Lorraine: on November 6, 1921, just days after the former king left Hungary permanently, the National Assembly voted to formally dethrone Charles and his descendants. The unsuccessful attempts of Charles to reclaim the crown also served to transform Horthy from temporary to permanent head of state in the form of regent without a king. 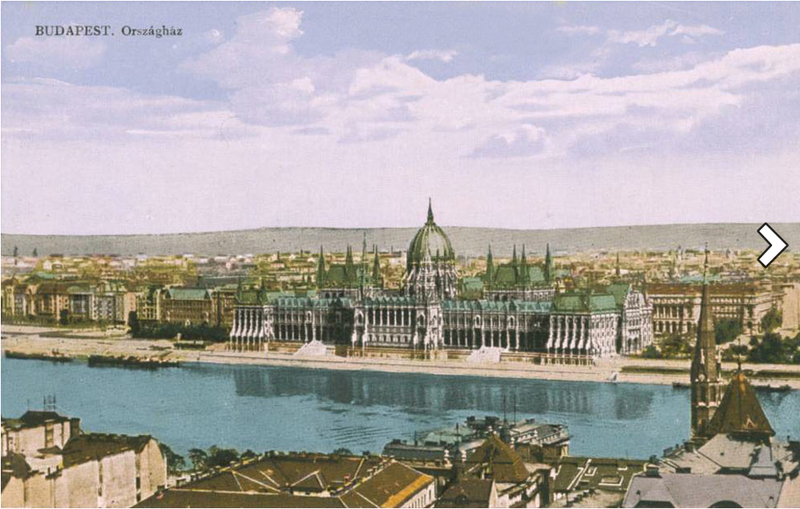 The Hungarian Parliament Building during the Horthy era. A unicameral parliament called the National Assembly (nemzetgyűlés) functioned in the Kingdom of Hungary from 1920 until 1927. In 1926, the National Assembly passed legislation calling for the establishment the following year of the Upper House (felsőház) of parliament, the successor of the House of Lords (főrendiház) that had existed at the time of the Austro-Hungarian Monarchy. Thus a bicameral parliament composed of the House of Representatives (képviselőház) and the Upper House functioned in Hungary beginning in 1927 until the end of the Horthy era in 1944. National elections were held in to determine the members of the National Assembly/House of Representatives. The Upper House consisted of appointed leaders of the recognized religions (including Judaism), aristocratic families and the principal courts of law, the male members of the House of Habsburg-Lorraine living in Hungary, the head of the Hungarian National Bank and the commander-in-chief of the military as well as elected officials from major institutions such as the Hungarian Academy of Sciences and universities as well as professional and trade chambers. In addition, Horthy, as the head of state, appointed further members of the Upper House at the recommendation of the government. From 1927 to 1937, the Upper House did not have the authority to approve or veto laws, though could send adopted legislation back to the House of Representatives twice for reconsideration. In 1937, the Upper House gained the right to vote together with the House of Representatives on legislation that it had twice sent back to the lower house for reconsideration. The National Assembly/House of Representatives had between 244 and 260 members from 1922 to 1944. The Upper House had around 235–240 members from its foundation in 1927 until 1944. As head of state of the Kingdom of Hungary, Miklós Horthy did not participate directly in the legislative and executive processes of the National Assembly/House of Representatives and government. However, Horthy did exercise considerable political authority through the powers invested in him as regent. These powers underwent gradual expansion in the 1930s. Regent Horthy possessed the following prerogatives the year he came to power in 1920: the right to appoint the prime minister; the right to approve or reject legislation that the government intended to submit to the National Assembly; the right to retain adopted legislation for up to 60 days before either signing it into law or sending it back to the National Assembly for reconsideration; the right to hold such legislation adopted for a second time for up to 15 days before signing it into law; the right to dissolve the National Assembly in the event that its functions suffered from “prolonged incapacitation” (tartós munkaképtelenség); and the right to suspend the activity of the National Assembly for up to 30 days. In 1933, the House of Representatives approved a law according the regent the authority to suspend the operations of the legislature for an indefinite period of time and to dissolve the body at his discretion. In 1937, the House of Representatives adopted legislation granting the regent the authority to twice retain the same piece of adopted legislation for up to six months before signing it into law. Regent Horthy, however, rarely invoked these prerogatives to suspend the National Assembly/House of Representatives or significantly impede legislation during his 24 years as head of state. 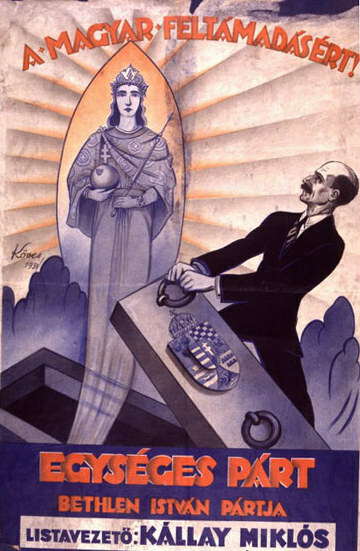 “For Hungarian Resurrection!”: Unity Party election poster. 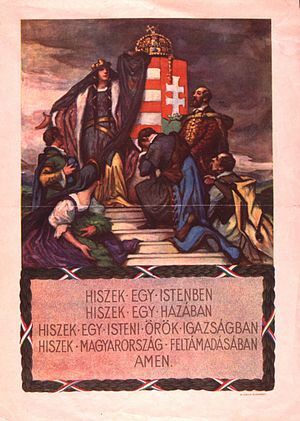 The Christian-nationalist Unity Party (Egységes Párt) and its direct successors held power in the National Assembly/House of Representatives of Hungary from the time of the party’s foundation in 1922 until the end of the Horthy era in 1944. The party won between 57.4 percent and 69.8 percent of mandates in the National Assembly/House of Representatives in the five national elections held in Hungary between 1922 and 1939, contesting the final two of these elections under the names Party of National Unity (Nemzeti Egység Pártja) and Party of Hungarian Life (Magyar Élet Pártja), respectively. Nine consecutive prime ministers belonged to the Unity Party and its successors from 1922 until the final months of the Horthy era. 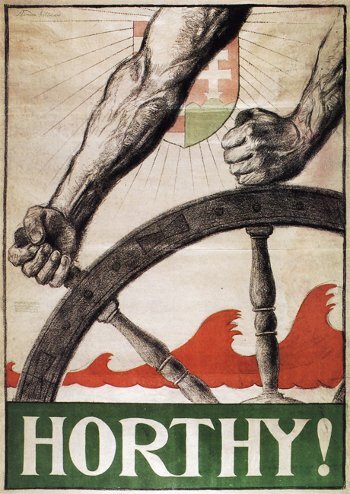 The Hungarian Social Democratic Party (HSDP) was the main opposition party in the National Assembly from 1922 until 1935. Following the party’s boycott of the first National Assembly elections of the Horthy era in 1920 to protest the White Terror, Hungarian Social Democratic Party chairman Károly Peyer reached an agreement with Unity Party Prime Minister István Bethlen that specified the conditions under which the HSDP would again participate in politics and elections: according to the so-called Bethlen-Peyer Pact of December of 1921, the National Unity Party government would permit the Hungarian Social Democratic Party to function legally under the protection of the law and to establish trade unions, while the HSDP would refrain from conducting labor-organization among employees of the state, notably railway and post-office workers, and would not call mass strikes or engage in pro-republic propaganda activity. The Bethlen-Peyer Pact furthermore limited the number of seats the Hungarian Social Democratic Party could hold in the National Assembly to 24—or slightly over 10 percent of all mandates. 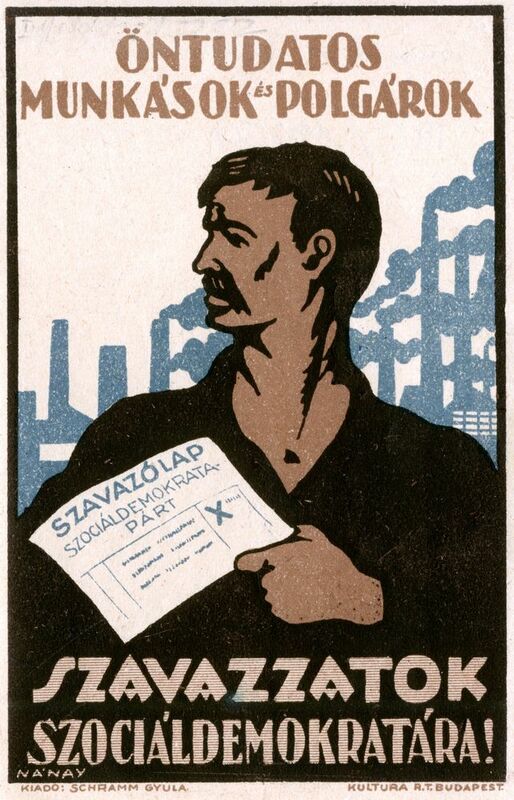 Hungarian Social Democratic Party election poster. 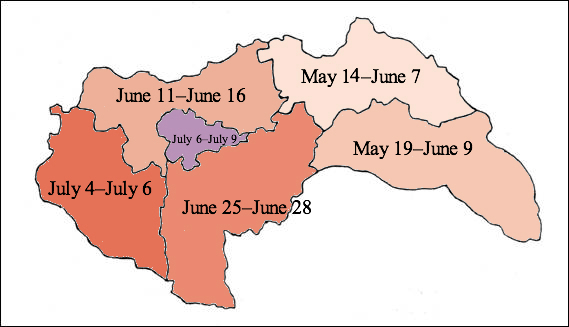 The HSDP was the largest opposition party in the National Assembly from 1922 until 1935 with between 5.7 percent and 10.2 percent of all mandates. The conservative-agrarian Independent Smallholders, Agrarian Workers and Civic Party (Független Kisgazda-, Földmunkás- és Polgári Párt, or FKgP) founded in 1930 formed the largest opposition party in the National Assembly during the 1935–1939 parliamentary cycle with 9 percent of all mandates. Communist political activity was banned in Hungary throughout the interwar period pursuant to the so-called “Order Law” (rendtörvény) of 1921. Although this law did not specifically cite any political party or ideology, it was clearly intended to prevent communists from taking power in Hungary as they had at the time of the short-lived Hungarian Soviet Republic in 1919, prohibiting movements and organizations “aimed at the forcible overthrow or eradication of the legal order of the state and society, particularly at the forcible establishment of the exclusive rule of some social class. . .” (source in Hungarian). Count István Bethlen, the scion of an illustrious Hungarian noble family from Transylvania, presided over the political and economic consolidation of Hungary during his ten-year period as prime minister of the country from April 1921 to August 1931. In 1921, Prime Minister Bethlen began the process of stabilizing domestic political conditions in Hungary through the previously aforementioned initiatives to formally dethrone the House of Habsburg-Lorraine and to reach agreement with the Hungarian Social Democratic Party regarding the criteria under which the primary opposition party would operate. In 1922, Count Bethlen continued this process of consolidation through the previously cited establishment of the Unity Party via the merger of the Party of Christian National Unification (Keresztény Nemzeti Egyesülés Pártja) and the National Smallholders and Farmers Party (Országos Kisgazda- és Földműves Párt), which together held 94 percent of the seats in the National Assembly. Finally, Prime Minister Bethlen orchestrated the previously mentioned reestablishment of the largely appointed Upper House of parliament in order to provide a constraint on legislation adopted in the popularly elected House of Representatives. In terms of external politics, Bethlen attempted to develop a network of likewise revisionist foreign allies following the end of League of Nations military supervision over Hungary in 1927 in order to counterbalance the French-supported Little Entente alliance of Czechoslovakia, Romania and Yugoslavia founded in the months after the conclusion of the Treaty of Trianon to defend the post-First World War territorial status quo in East-Central Europe. In 1927, Prime Minister Bethlen and Prime Minister and Duce of Fascism Benito Mussolini of Italy, who wanted to reduce France’s political influence in East-Central Europe and who maintained irredentist ambitions toward the Yugoslav region of Dalmatia, signed the Hungarian-Italian Friendship Treaty, thus bringing Hungary’s post-war isolation to an end. In 1931, Prime Minister Bethlen and Foreign Minister Johann Schober of Austria, where the ruling Christian Social Party had increasingly come under the influence of Austrofascism, signed a Hungarian-Austrian Friendship Treaty. Fascist Italy and Austria remained Hungary’s most significant foreign allies until Germany superseded them in the second half of the 1930s. Following the implementation of measures that served to consolidate the domestic political situation, the Bethlen government took steps to stabilize Hungary’s economy, which had endured a one-year period of hyperinflation beginning in 1923 and had contracted between 40 percent and 50 percent in terms of agricultural production and between 60 percent and 65 percent in terms of industrial production as the result of post-war political upheaval and territorial losses. In 1924, the Bethlen government obtained a League of Nations-sponsored reconstruction loan of 250 million gold crowns—over half of which Great Britain alone provided—to be repaid over a period of 20 years at an interest rate of 7.5 percent. Pursuant to one of the League of Nations conditions for receiving this loan, the National Assembly adopted legislation establishing the National Bank of Hungary, which began operating in June 1924. In 1927, the Bethlen government introduced the pengő to serve as Hungary’s new national currency in place of the Hungarian korona, the initially overstamped successor to the Austro-Hungarian krone/korona used until the end of the First World War. The Bethlen government did not, however, survive the political, social and economic turmoil of the Great Depression: unwilling to implement Regent Horthy’s urged introduction of martial law and repressive measures against the Hungarian Social Democratic Party and unable to generate the political support to implement necessary economic-austerity measures, Prime Minister Bethlen resigned in August 1931. Regent Horthy appointed former military officer Gyula Gömbös to serve as prime minister in October 1932. During his four years in office, which ended with his death from cancer in October 1936, Gömbös initiated the process of building a “self-sustaining” (öncélú) authoritarian state upon the semi-democratic Christian-nationalist political foundations established under Prime Minister István Bethlen in the 1920s. As head of government, Gömbös attempted to strengthen Hungary’s relations with Nazi Germany, though regarded the fascist system that Benito Mussolini had introduced in Italy to be his primary political model. Shortly after becoming prime minister, Gömbös issued a 95-point National Work Plan (Nemzeti Munkaterv) containing the main objectives of his government. These objectives included: revisionism of the Treaty of Trianon “via peaceful means”; respect for individual liberty “as long is this liberty does not endanger the interests of the national community”; guarantee of the right to association and assembly under the condition that “all associations and assemblies directly or indirectly serve to enhance national forces”; and preserving the freedom of the press “as long as the press serves the interests of the nation” (source in Hungarian). Though not among the specific objectives outlined in the National Work Plan, Prime Minister Gömbös believed that political power must be centralized and the authority of the House of Representatives and other branches of government curtailed in order to make it possible to deal effectively with the growing economic and political challenges of the 1930s. Gömbös thus presided over aforementioned adoption of legislation providing Regent Horthy with the authority to indefinitely suspend the operations of the House of Representatives and to dissolve the legislature at his discretion. In terms of economic policy, Gömbös promoted the adoption of many measures, such as establishment of professional chambers, introduction of the 48-hour workweek and minimum wage and implementation of agrarian reform, that were based on the fascist corporatism of Mussolini’s Italy. 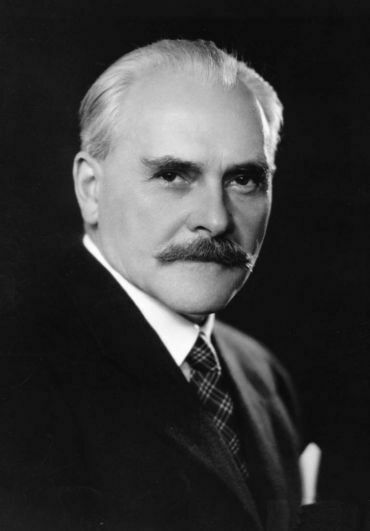 Prime Minister Gömbös abandoned his previously open anti-Semitism in order to gain support for his government program among wealthy and influential Jews, particularly industrial magnates. Gömbös had served as the leader of the anti-Semitic Hungarian National Independence Party (Magyar Nemzeti Függetlenségi Párt), known popularly as the Racial Defense Party (Fajvédő Párt), during its four years of existence from 1924 until 1928. However, in his first speech after becoming prime minister, Gömbös declared “To the Jews I say openly and frankly: I have revised my point of view. I wish to regard those Jews who have acknowledged a community of fate with the nation as brothers and sisters in the same way as I do my Hungarian brothers and sisters” (source in Hungarian). Prime Minister Gömbös indeed initiated no anti-Semitic legislation or other measures during his four years in office. However, Prime Minister Gömbös welcomed the appointment of Adolph Hitler as chancellor of Germany in 1933 because he supported the radical authoritarian-nationalist ideology and program of the Nazi Party, particularly its explicit call for the revision of the territorial changes stipulated in the post-First World War peace treaties. Gömbös became the first foreign leader to pay an official visit to Hitler when he travelled to Berlin to hold talks with the new leader of Germany in July 1933. For Gömbös, the results of these negotiations were mixed: on the one hand, Hitler rejected the possibility of forming an alliance with Hungary based on open revisionism, contending that such collaboration would serve to strengthen the resolve and unity of the Little Entente, and voiced support for Hungary’s territorial claims vis-a-vis Czechoslovakia only—and therefore toward neither Romania nor Yugoslavia; on the other hand, however, officials from the Gömbös and Hitler governments signed an agricultural trade agreement shortly after the Berlin talks that served to double Hungary’s exports to Germany from 11.2 percent of all exports in 1933 to 22.2 percent of all exports in 1934. Germany thus surpassed Austria to become Hungary’s largest export partner (source in Hungarian). Prime Minister Gömbös cemented Hungary’s alliances with Italy and Austria through conclusion of the trilateral Rome Protocols with these states in 1934. In the latter year, the Gömbös government established diplomatic relations with the Soviet Union, thereby making Hungary one of the final states in Europe to do so. Despite the stipulation in the National Work Plan that Hungary aimed to achieve revision of its post-First World War frontiers “via peaceful means,” Prime Minister Gömbös prepared the Hungarian military to regain territories relinquished via the Treaty of Trianon by force if necessary. 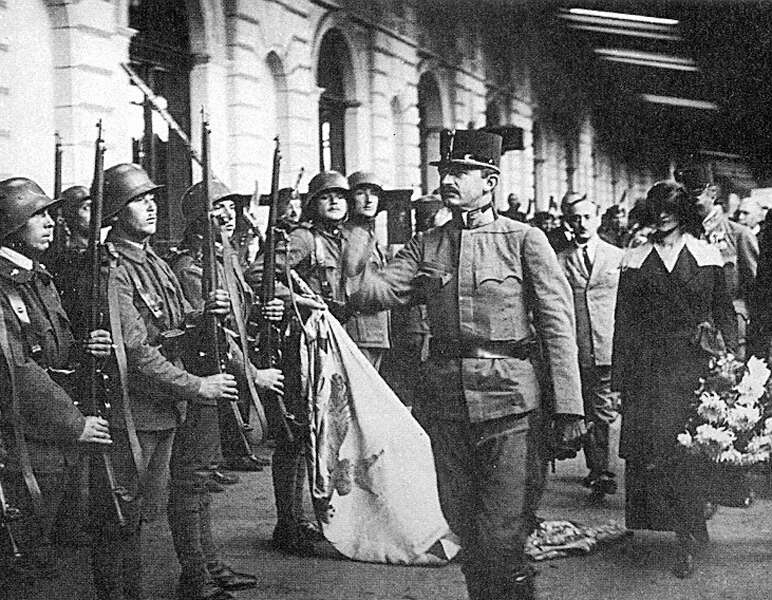 In 1932, the Hungarian Royal Army (Magyar Királyi Honvédség) established mechanized units and reintroduced general conscription in violation of the latter treaty. 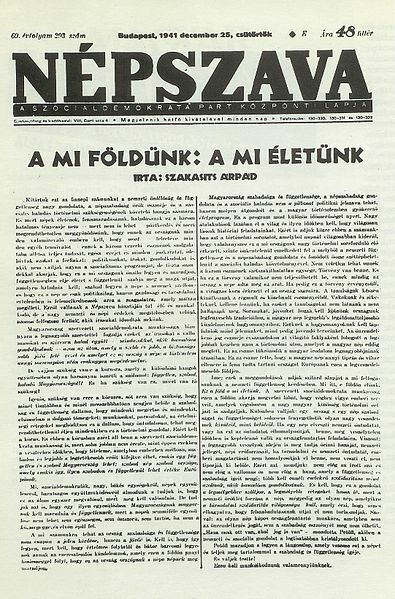 The government of Prime Minister Kálmán Darányi initiated the dissolution of the Party of National Will in April 1937 based on the same 1921 Order Law that previous governments had used to prosecute and imprison members of the underground communist movement. 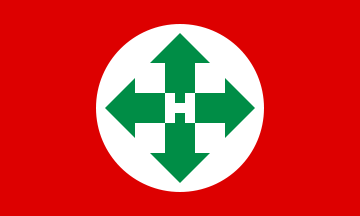 Subsequent governments initiated the dissolution of successor parties—the Hungarian National Socialist Party (Magyar Nemzeti Szocialista Párt) and the National Socialist Hungarian Party-Hungarist Movement (Nemzetszocialista Magyar Párt-Hungarista Mozgalom)—that Szálasi founded in 1937 and 1939, respectively. 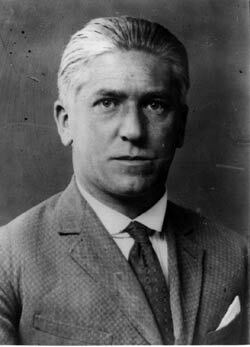 Szálasi was convicted of conspiracy against the state and other crimes pursuant to the Order Law and condemned to three years in prison in July 1938. Szálasi follower Kálmán Hubay founded the Arrow Cross Party-Hungarist Movement (Nyilaskeresztes Párt – Hungarista Mozgalom) in March 1939 in order to participate in impending national elections as Szálasi served his sentence at the Star Prison (Csillag Börtön) in the city of Szeged. Amid the rise in popularity of Hungarist ideology with the approach of the Second World War, the newly established Arrow Cross Party won 29 seats in the House of Representatives in May 1939 national elections, or 11.2 percent of all mandates in the lower house of parliament. Moreover, six smaller Hungarist parties won 14 more seats in the House of Representatives, thus providing Hungarian National Socialist parties with just under 17 percent of all mandates in the legislature. Szálasi assumed leadership over the Arrow Cross Party from Hubay after gaining early release from prison in September 1940 as the result of an amnesty from Regent Horthy. 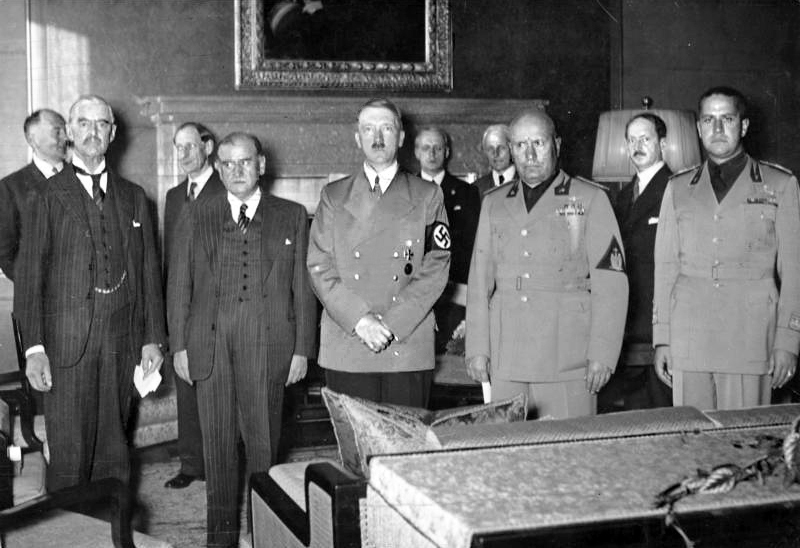 Munich Agreement signatories (left to right): Chamberlain; Daladier; Hitler; and Mussolini. Following Nazi Germany’s annexation of Austria on March 12, 1938, Prime Minister Darányi and his successor, Béla Imrédy, attempted to achieve the revisionist objective of reincorporating the predominantly Hungarian-inhabited regions of southern Slovakia back into Hungary with the support of Chancellor Hitler, who after the Anschluss turned his attention toward further expansion of the Third Reich’s borders through occupation of the German-inhabited Sudetenland along the western perimeter of Bohemia. On September 30, 1938, Hitler, Mussolini, Prime Minister Neville Chamberlain of the United Kingdom and Prime Minister Édouard Daladier of France signed the Munich Agreement, which was intended to gain peaceful settlement of the territorial claims of Germany and Hungary vis-à-vis Czechoslovakia: according to this agreement, Czechoslovakia ceded the Sudetenland to Germany and entered negotiations with Hungary in order to resolve their dispute over southern Slovakia. The Munich Agreement stipulated that the governments of Hungary and Czechoslovakia would turn to the signatories of the pact to arbitrate a settlement between them if they were unable to reach an accord within three months. Units of the revived Ragged Guard and the regular Hungarian Royal Army launched incursions into Slovakia beginning just days after the conclusion of the Munich Agreement in order to reinforce Hungary’s territorial claims in the region. Officials from the Imrédy government and the newly formed, Josef Tiso-led autonomous Slovak government held talks in Komárno, Slovakia from October 8 to 13, 1938 regarding possible revision of their common border pursuant to the Munich Agreement. However, these talks failed to produce a settlement, thus on October 29 both the Imrédy and Tiso governments requested mediation from Germany and Italy. Hungarian military forces reoccupied this territory between November 5 and 10, while Regent Horthy entered Kassa riding a white horse to symbolically reclaim the city amid great ceremony on November 11. In March 1939, Hungary’s newly appointed prime minister, Pál Teleki, decided to order the invasion of the rest of Subcarpathia (Kárpátalja) without the support of Hitler, if necessary, in order to establish a common border between Hungary and Poland. Hitler did, however, approve of the invasion as part of the final phase in the dismemberment of Czechoslovakia, which would entail Germany’s annexation of the remainder of Bohemia and Moravia, the establishment of a nominally independent Slovak puppet state and Hungary’s occupation of Subcarpathia. Following Josef Tiso’s declaration of the Slovak Republic on March 14, 1939, Germany and Hungary launched their planned invasions on March 15. Map of Hungary following reincorporation of Czechoslovak territories in 1938–1939. The Hungarian Royal Army occupied the entire region of Subcarpathia by March 18, 1939, quickly overcoming resistance from Ukrainian nationalists fighting in an irregular force known as the Carpathian Sich in Hungary’s first true military engagements associated with the Second World War. These clashes claimed the lives of several dozen Hungarian Royal Army soldiers and several hundred Carpathian Sich irregulars. On March 23, 1939 the Hungarian Royal Army attacked the Slovak Republic from newly occupied Subarpathia in order to seize a buffer zone protecting the vital railway line proceeding through the Ung (Uzh) River Valley between Ungvár and Lwów (Lviv), Poland. The Hungarian Royal Army occupied this strip of land after defeating Slovak forces in several skirmishes throughout the rest of March known collectively as the Little War (Kis háború in Hungarian; Malá vojna in Slovak) in which 22 Slovaks and 8 Hungarians were killed. The Kingdom of Hungary and the Slovak Republic signed an agreement recognizing the Hungarian conquest of this territory on April 4, 1939. 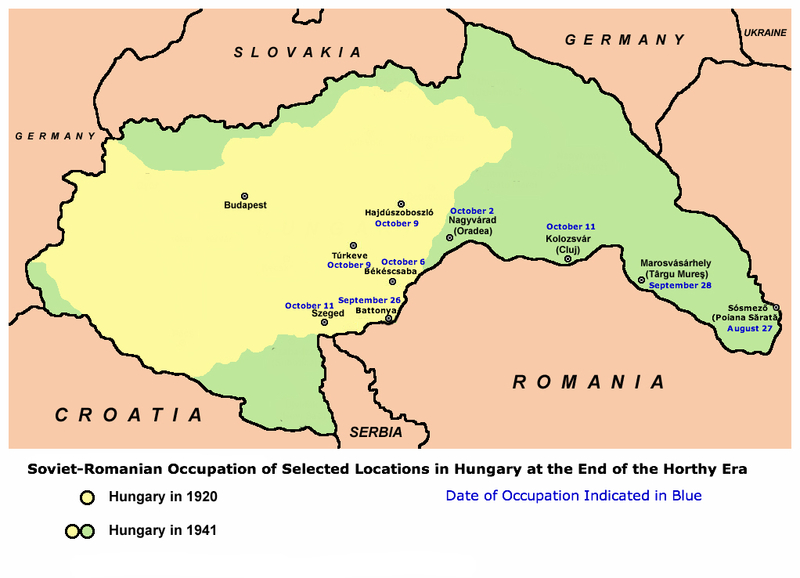 Hungarians constituted only 12.7 percent of the population in the 12,171 square kilometers of Subcarpathia and Slovakia that Hungary reoccupied in March 1939, while 61 percent of the population living in these territories was Ruthene and the remaining 26.3 percent mostly Jewish, Slovak and German (source in Hungarian). Hungary therefore regained 24,098 square kilometers of territory via the First Vienna Award in November 1938 and the invasions of Subcarpathia and the Slovak Republic in March 1939—or slightly over 39 percent of the 61,633 square kilometers the country had lost to Czechoslovakia pursuant to the Treaty of Trianon. 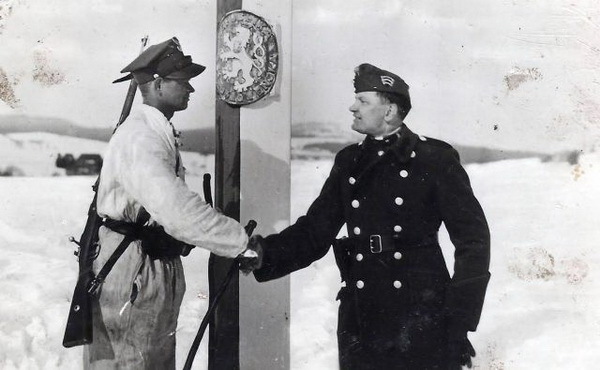 Soldiers from Poland and Hungary shake hands at the new common border in 1939. Germany invaded Poland on September 1, 1939, thus marking the beginning of the Second World War. Prime Minister Teleki refused a German request on September 9 to permit the Wehrmacht to enter southern Poland via Hungary’s newly reoccupied territory of Subcarpathia. The Teleki government subsequently permitted 130,000 to 140,000 Polish soldiers and civilians to take refuge in Hungary, which since the invasion of Subcarpathia had a 200-kilometer common border with traditional ally Poland. Most of the soldiers who fled from Poland to Hungary continued via Yugoslavia to France and the United Kingdom, where they joined Polish military units fighting alongside the Allies, while many of the civilians remained in Hungary as refugees until the end of the Second World War. Yellow = territory returned to Hungary via the Second Vienna Award. 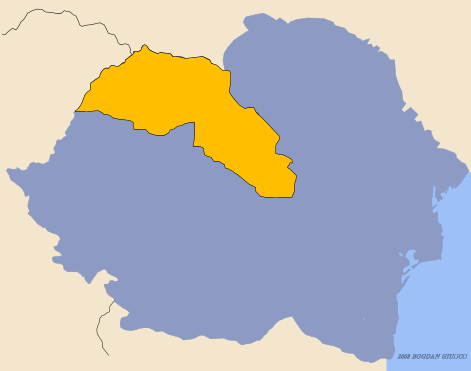 The Crown Council of the Kingdom of Romania elected to cede Bessarabia and northern Bukovina to the Soviet Union in late June 1940 in order to avoid what King Carol II and members of the royal consultative body concluded would be an unwinnable war with the USSR over the territories. The government of Prime Minister Teleki regarded the compliance of King Carol II with the Soviet ultimatum to evacuate Bessarabia and northern Bukovina as evidence that it could initiate similar unilateral action to regain Transylvania, the Banat and other territories that Hungary had lost to Romania via the Treaty of Trianon. The Hungarian Royal Army and the Romanian Land Forces both mobilized in preparation for possible military conflict over these territories shortly after Romania’s decision to withdraw from Bessarabia and northern Bukovina. 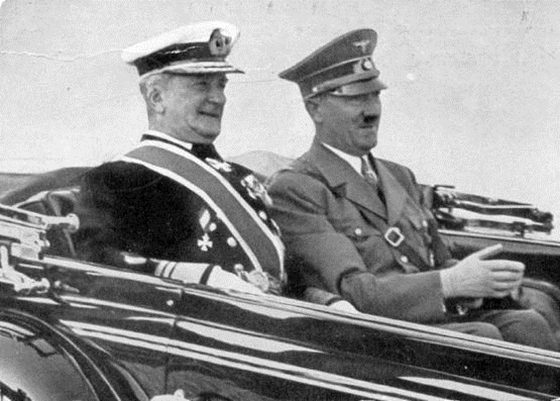 However, Hitler intervened to avert war between Hungary and Romania, which he feared would serve to obstruct Germany’s access to Romanian oil, orchestrating negotiations between the neighboring kingdoms that began in Turnu Severin, Romania on August 16, 1940. Following the inevitable failure of these eight-day talks, the governments of Hungary and Romania requested the arbitration of the foreign ministries of Germany and Italy to settle their dispute just as the they had nearly two years previously in the case of Hungary and Slovakia. On August 30, 1940, Ribbentrop, Ciano and foreign ministers István Csáky of Hungary and Mihail Manoilescu of Romania signed the Second Vienna Award at the Belvedere Palace in Vienna. 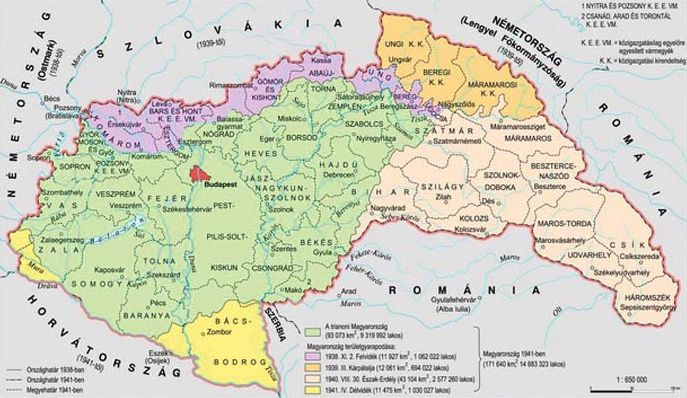 This agreement returned 43,104 square kilometers of land in the northern sections of Transylvania and adjacent Partium to Hungary from Romania, including the cities of Szatmárnémeti (Satu Mare), Nagyvárad (Oradea), Kolozsvár (Cluj) and Marosvásárhely (Târgu-Mureș). According to the 1930 Romanian census, 49.2 percent of the population living in these territories was Romanian, 38.1 percent Hungarian and 12.7 percent other. According to the 1941 Hungarian census, 53.6 percent of the population living these territories was Hungarian, while 39.9 percent was Romanian and 6.5 percent other. 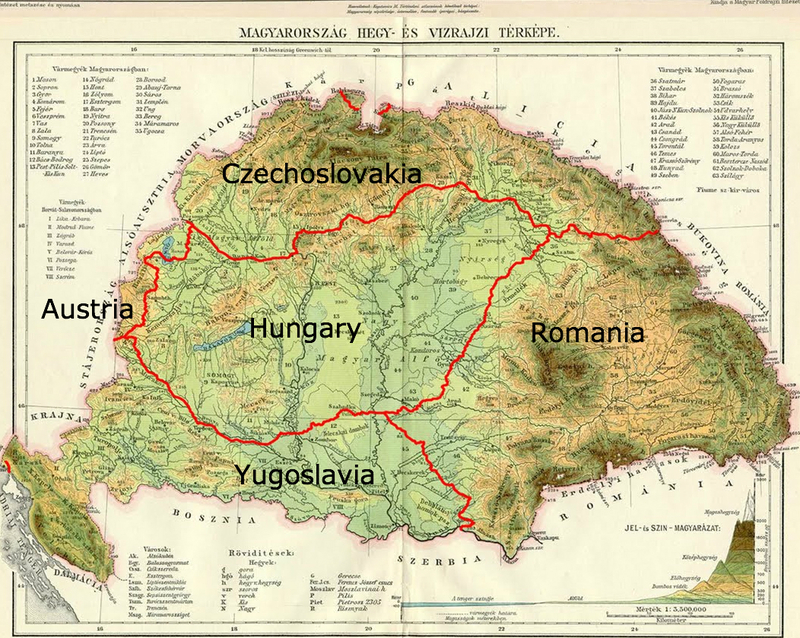 The Second Vienna Award returned to Hungary 41.8 percent of the 103,093 square kilometers of territory that the country had lost to Romania via the Treaty of Trianon. 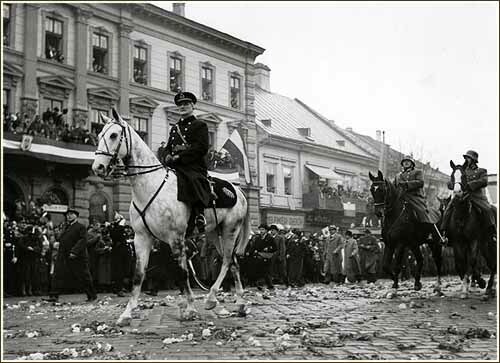 The Hungarian Royal Army reoccupied the northern sections of Transylvania and the Partium during the first half of September 1940, while Regent Horthy again conducted the symbolic reincorporation of some the of major cities located in the territories into the Hungary, leading ceremonial processions on horseback into Szatmárnémeti on September 5 and Nagyvárad on September 6. Hungarian military forces committed several massacres of Romanians during their reoccupation of the designated territories, killing several hundred residents of the villages of Ördögkút (Treznea), Ipp (Ip) and Márkaszék (Marca) between September 9 and September 15, 1940. The foreign policy of the Teleki government had been to unilaterally reincorporate as much territory lost via the Treaty of Trianon into Hungary as possible without surrendering the country’s neutrality. However, the second German- and Italian-arbitrated return of land to Hungary in less than two years in August 1940 provided Hitler with the political leverage necessary to compel Regent Horthy and Prime Minister Teleki to comply with requests that autumn to release fascist Arrow Cross leader Ferenc Szálasi from prison, to establish the pro-Nazi People’s Federation of Germans in Hungary (Volksbund der Deutschen in Ungarn) as the sole official organization representing the German minority in the country and, finally, to permit Wehrmacht troops to cross Hungary en route to bases in Romania. Under these circumstances, Regent Horthy and the Teleki government concluded that the benefits that Hungary could derive from formal affiliation with the Axis powers outweighed the preservation of nominal neutrality and on November 20, 1940 joined the Tripartite Pact military alliance of Germany, Italy and Japan. 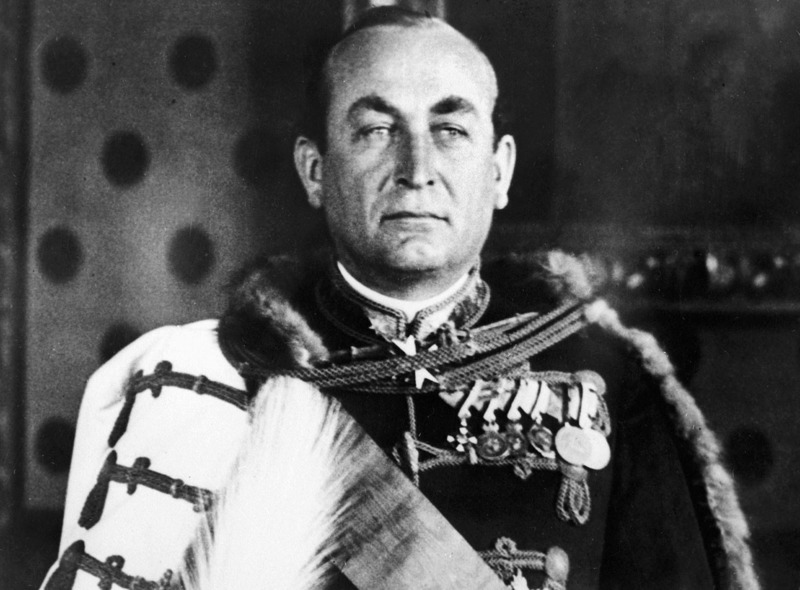 On March 27, 1941, Serbian military officers in the Kingdom of Yugoslavia overthrew the pro-German government of Regent Prince Paul in a bloodless coup d’état that brought 17-year-old King Peter to power in the monarchy just two days after it had become a member of the Tripartite Pact. Hitler immediately decided that the Axis powers would invade Yugoslavia—as well as Greece—in order to secure the Balkans before the planned launch of Operation Barbarossa against the Soviet Union later that spring. On March 28, Hungary’s ambassador to Germany informed Prime Minister Teleki and Regent Horthy that Hitler wished to deploy Wehrmacht military units in Hungary in preparation for the planned invasion of Yugoslavia. Moreover, the chancellor of Germany wanted the Hungarian Royal Army to participate in the invasion, codenamed Operation 25, in exchange for the right of the Teleki government to reincorporate territories thus occupied into Hungary. Regent Horthy advocated satisfying Hitler’s appeals on the grounds that Hungary might never have another opportunity to recoup the territories of the South Country (Délvidék) lost to the Kingdom of Serbs, Croats and Slovenes via the Treaty of Trianon. However, Prime Minister Teleki opposed compliance with the Führer’s request to take part in the invasion of a country with which his government had signed an Eternal Friendship Treaty in December 1940 and to thereby risk prompting the United Kingdom to declare war on Hungary. We have violated our word—out of cowardice. . . . The nation feels that we have cast aside its honor. We have stood on the side of the villains. . . We shall be body snatchers! The most despicable of people. I did not hold you back. I am guilty. 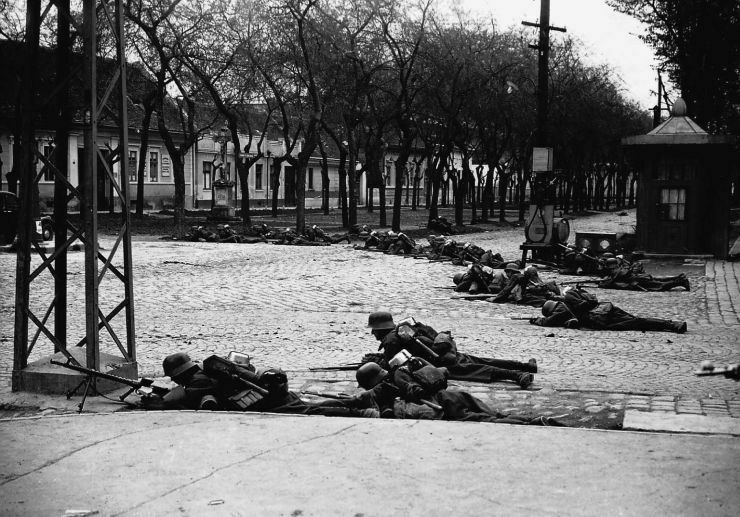 Royal Hungarian Army troops take cover in city of Zombor (Sombor) during invasion of Yugoslavia. Germany declared war on the Kingdom of Yugoslavia and launched ground and air attacks on the country on April 6, 1941. The Hungarian Royal Army invaded Yugoslavia on April 11 under the pretext that Hungarians living in the country required military defense amid the anarchy that had emerged there following the Wehrmacht attack. 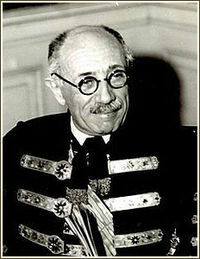 The government of newly appointed Prime Minister László Bárdossy claimed that the invasion did not violate the Hungarian-Yugoslav Eternal Friendship Treaty because the Kingdom of Yugoslavia had ceased to exist with the proclamation on April 10 of the pro-German Independent State of Croatia. The Hungarian Royal Army encountered only minor resistance from Serbian Chetnik irregulars during their rapid invasion of the regions of Bácska (Bačka) and Baranya (Baranja) in north-central Yugoslavia and of the Muravidék (Prekmurje) and Muraköz (Međimurje) in northwestern part of the country, suffering just around 125 fatalities in the course of its first major military operation of the Second World War, though inflicting heavy casualties of well more than a thousand dead among enemy guerillas and local civilians. Hungarian military forces furthermore immediately expelled thousands of Serbs from Bácska and Baranya to the Territory of the Military Commander in Serbia that was under direct German occupation. Hungary’s territorial gains, 1938–1941: purple = from Czechoslovakia (1938); orange = from Czechoslovakia (1939); beige = from Romania (1940); yellow = from Yugoslavia (1941). On December 16, 1941, following nine months of military administration, the House of Representatives formally reincorporated the 11,475 square kilometers of occupied territory back into Hungary, representing 55.8 percent of the land, not counting Croatia-Slavonia, that the country had lost to the Kingdom of Serbs, Croats and Slovenes via the Treaty of Trianon. According to data from Hungary’s 1941 census, Hungarians constituted nearly 37 percent of the population living in the reincorporated regions of the South Land, while Serbs, Croats and Slovenes together composed over 40 percent of the population and Germans 19 percent of the population. Contrary to expectation, the United Kingdom did not declare war on Hungary following its participation in the Axis invasion of Yugoslavia on the grounds that the Hungarian Royal Army had not yet attacked any member of the Allied powers. The Kingdom of Hungary regained 41.5 percent of the territory, not counting Croatia-Slavonia, that it lost via the Treaty of Trianon in 1920 through either German- and Italian-arbitrated agreement or military invasion from August 1938 to April 1941. -and the Third Jewish Law adopted in August 1941 prohibited marriage and sexual relations and between Christians and Jews. The successive governments of prime ministers Kálmán Darányi, Béla Imrédy and Pál Teleki initiated these Jewish Laws. Hungarian Royal Army soldiers and gendarmes inspect corpses following massacre in Újvidék. In January 1942, Hungarian Royal Army and Hungarian Royal Gendarmerie killed around 3,800 civilians suspected of supporting the Josip Broz Tito-led communist Partisans in the region of Bácska, which Hungary had invaded and reincorporated into the country from Yugoslavia the previous year. The Bácska Massacres, known collectively as the Újvidék (Novi Sad) Massacre (Újvidéki vérengzés) in Hungarian, started with a skirmish between the Hungarian Royal Gendarmerie and Partisans near the village of Csurog (Čurug) on January 4 in which six Hungarian gendarmes were killed. Over the following three weeks, Hungarian Royal Army and Hungarian Royal Gendarmerie forces conducted raids at 14 locations in the Bácska intended to eliminate the base of support for Partisan guerillas fighting against the Hungarian occupation of the region. 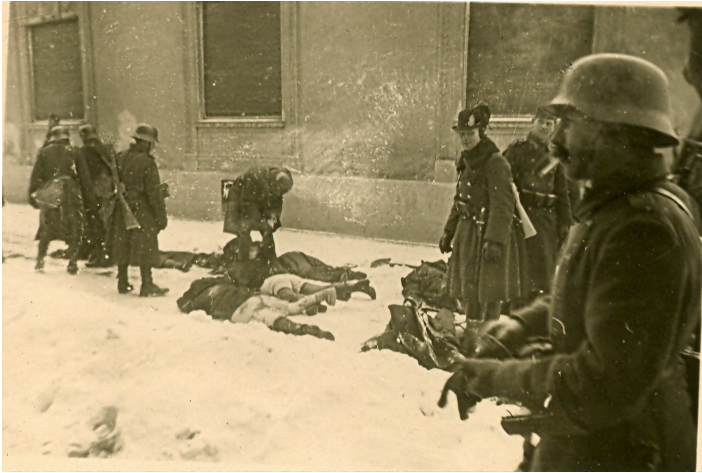 The joint Hungarian Royal Army-Hungarian Royal Gendarmerie anti-Partisan raid in the regional capital of Újvidék beginning on January 23 claimed over 1,200 victims, many of whom were systematically executed on the frozen Danube River. The Újvidék raid assumed an anti-Semitic character as well, resulting in the death of more than 800 Jews. Around two-thirds of all those killed in the course of the Bácska Massacres were Serbs, while one-quarter were Jews and the rest Gypsies, Ruthenes, Hungarians and Russians. Prime Minister Miklós Kállay of Hungary initiated a military investigation of the killings shortly after becoming head of government in March 1942. Court-martial proceedings were launched against several military and gendarme officers on various charges, including murder, the following year. However, the four primary defendants—including Hungarian Royal Army Lieutenant General Ferenc Feketehalmy-Czeydner—escaped to Germany before the legal action initiated against them could be completed. Clearing rubble following the bombing of Kassa. 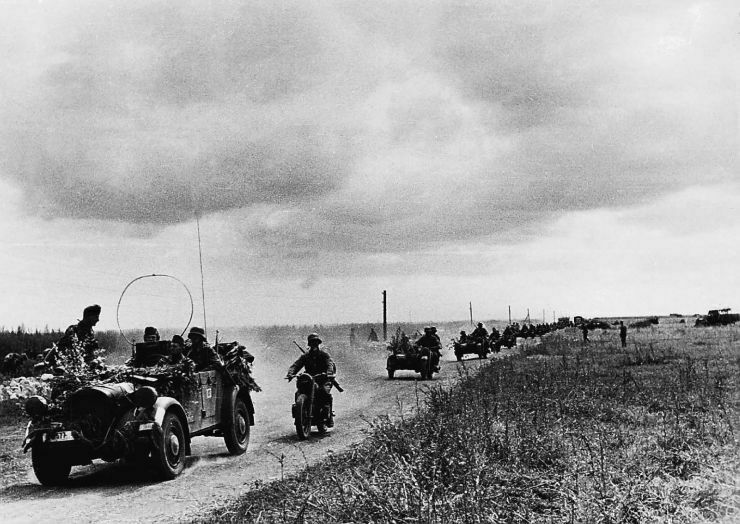 On June 22, 1941, German military forces launched their long-planned invasion of the Soviet Union known as Operation Barbarossa. Wehrmacht generals determined that they would initially require support from only the Finnish Army in the north and the Romanian Army in the south, thus they did not request that the Hungarian Royal Army participate in the invasion. On June 26, 1941, three unidentified aircraft bombed the city of Kassa, which had again become part of Hungary pursuant to the First Vienna Award, causing significant damage and killing 32 people. Based on the fact that two unexploded bombs dropped during the attack had been manufactured in the Soviet Union and other circumstantial evidence, Hungarian military and political leaders concluded that the Soviet Air Force had been responsible for the bombing. However, Soviet officials immediately denied that the USSR had launched the attack, which others have claimed the German Luftwaffe carried out as a false-flag maneuver intended to draw Hungary into Operation Barbarossa. Some researchers have concluded that the Soviet Air Force mistakenly attacked Kassa rather than their true target, the city of Prešov (Eperjes), located about 30 miles to the north in the German client state of the Slovak Republic. Responsibility for the bombing of Kassa has never been conclusively determined, though lack of clear motive for the attack suggests the hypothesis of Soviet military error to be the most likely. Hungarian Royal Army troops invade the Soviet Union. On June 27, Prime Minister Bárdossy, with the support of Regent Horthy, declared war on the Soviet Union. 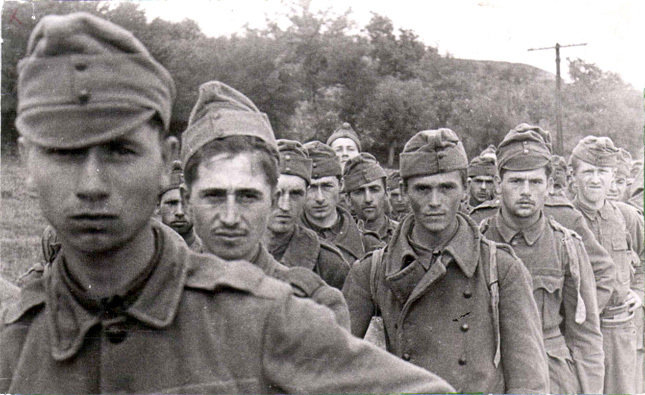 Four days later, the Hungarian Royal Army’s Carpathian Group (Kárpát-csoport) crossed into the USSR to support the German-led invasion of the Ukrainian Soviet Socialist Republic, which also included military forces from Romania, Italy and Slovakia. Over the next three months, the Carpathian Group drove 1,000 kilometers into eastern Ukraine, losing nearly 4,000 of around 45,000 total soldiers and most of the unit’s armored vehicles in several engagements with the Red Army along the way, notably the three-week Battle of Uman beginning in the middle of July. The Hungarian Royal Army withdrew the heavily impaired Carpathian Group from occupied Ukraine (known as Reichskommissariat Ukraine) in November 1941, maintaining only occupational forces in the region until the following spring. The United Kingdom—the only Allied country in Europe that was not under total or partial German control following launch of Operation Barbarossa—declared war on Hungary on December 7, 1941. 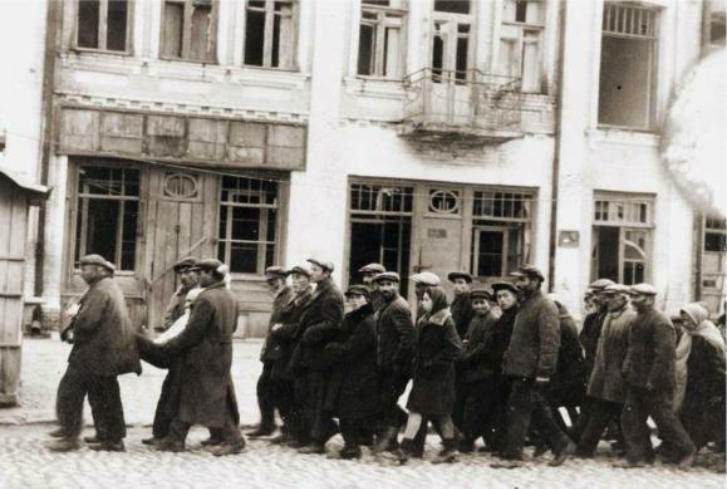 Jews marching to their deaths outside the city of Kamyanets-Podilsky. On August 27 and 28, 1941, units operating under the command of the German SS executed 23,600 Jews—approximately two-thirds of whom Bárdossy government officials had deported from Hungary—near the city of Kamyanets-Podilsky in occupied Ukraine. Shortly after Hungary declared war on the Soviet Union and joined the German-led invasion of the USSR on July 1, 1941, Government Commissioner of Subcarpathia Miklós Kozma, acting in cooperation with the Interior Ministry department responsible for oversight of foreign nationals, initiated the relocation of Jews residing in the region who could not prove that they had obtained Hungarian citizenship to an internment camp in the town of Kőrösmező (Yasinia), located just a few kilometers from the border of the General Government district of German-occupied Poland. Bárdossy government authorities implemented this measure in order to achieve the long-held official objective of expelling unassimilated so-called “Galician Jews” from eastern Hungary back to their presumed homeland. Most of the interned Jews were Polish- and Russian-speaking foreign nationals, though many were longtime residents of the Subcarpathia—which had been part of Czechoslovakia from 1920 until 1939—who had either never been Hungarian citizens or could not verify their Hungarian citizenship. Bárdossy government officials unilaterally deported 19,426 Jews— including several thousand detained in parts of Hungary other than Subcarpathia— in railway boxcars from the Kőrösmező internment camp to the General Government, notably to the city of Kolomyia. German authorities subsequently removed most of the deported Jews to Kamyanets-Podilsky, where an SS Einsatzugruppe (Task Force) shot them on August 27 and 28 in a forest outside the city. Approximately 16,000 of those executed had been deported from Hungary, while 5,000 were from Kamyanets-Podilsky and neighboring communities and 2,000 from Romania. Around 3,000 of the Jews deported from the Kőrösmező internment camp eventually made their way back to Hungary. Labor-battalion conscripts on the Eastern Front. In 1939, the House of Representatives adopted legislation introducing labor service (munkaszolgálat) for conscripts deemed unfit for standard military service. The Hungarian Royal Army almost immediately began assigning Jews, suspected or proven communists, members of minority nationalities, those belonging to minor religious sects and all others regarded as politically unreliable to serve in labor battalions rather than regular military units. 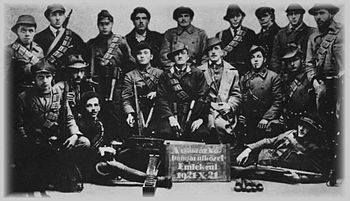 The Hungarian Royal Army began raising exclusively Jewish labor battalions in 1940. Prime Minister Bárdossy issued a decree shortly after Hungary’s invasion of Yugoslavia in April 1941 stipulating that Jewish conscripts would serve exclusively in such battalions. Labor battalions—the members of which were not permitted to carry weapons— initially performed various types of construction and other work inside Hungary. However, after Hungary joined the German-led invasion of the Soviet Union in July 1941, labor battalions were increasingly deployed to occupied Ukraine in order to build military fortifications and carry out other duties in direct support of regular units of the Hungarian Royal Army. By 1943, an estimated 50,000 Jews were serving under extremely harsh conditions in labor battalions in Ukraine. Around 15,000 of these Jewish conscripts died of disease or starvation—many of them in Soviet captivity—were killed in Red Army military operations or were executed by their Hungarian Royal Army guards (source A and B in Hungarian). Hungarian Second Army soldiers along the Don River in 1942. In January 1942, Prime Minister Bárdossy assented to a personal request from Foreign Minister von Ribbentrop of Germany to send a large Hungarian Royal Army force to the Soviet Union in order to provide support for Wehrmacht troops in a planned spring offensive. In April 1942, the Hungarian Royal Army began transporting the fortified Hungarian Second Army by rail to the Eastern Front. Over the next three months, the army grew to include around 250,000 regular soldiers and mostly Jewish labor-battalion conscripts, or roughly one-third of the Hungarian Royal Army’s total personnel. The designated task of the Hungarian Second Army was to defend a 200-kilometer segment of the Don River in order to prevent the Soviet Red Army from attacking German and Romanian forces attempting to capture the city of Stalingrad and the Caucasus oil fields in the southern USSR from behind. The Hungarian Second Army fought its initial engagements in July and August of 1942, when the General Gusztáv Jány-led force attempted to capture three Soviet-held western bridgeheads along the Don with only partial success. The Red Army launched a massive attack on the ill-equipped, poorly fed and inadequately clothed Hungarian Second Army amid arctic-cold temperatures on January 12, 1943 as part of a counteroffensive intended to isolate German and Romanian forces fighting at Stalingrad. 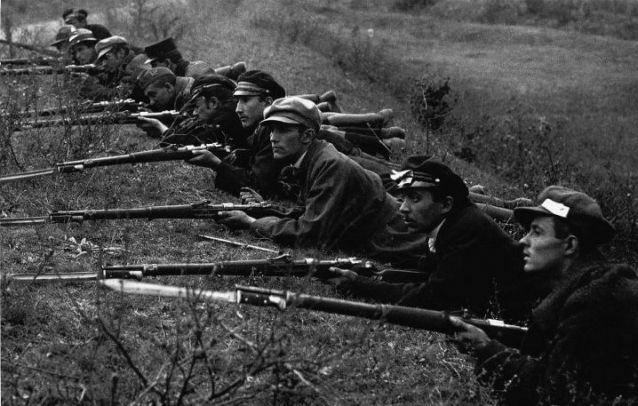 Within one week, the Red Army had forced the Hungarian Second Army to retreat along the entire length of the Don River that it had been ordered to defend at any human and material cost. Hungarian forces suffered enormous casualties during the initial attack and rearguard actions conducted over the subsequent weeks. 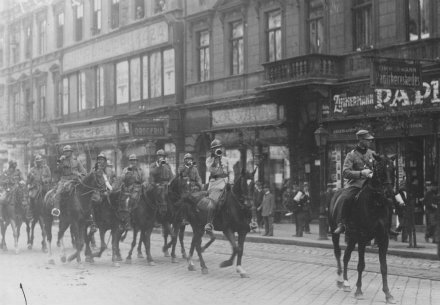 After withdrawing into German-occupied Ukraine, the remnants of the Hungarian Second Army returned to Hungary in the spring. An estimated 60,000 to 70,000 regular soldiers and labor-battalion conscripts attached to the Hungarian Second Army died while serving along the Don River in 1942 and 1943, while many tens of thousands more were wounded and a further 60,000 were taken captive (source in Hungarian). Front page of the Christmas 1941 issue of the Hungarian Social Democratic Party newspaper Népszava. Opposition to Hungary’s alliance with Nazi Germany and participation in the invasion of the Soviet Union manifested itself collectively for the first time at a small anti-war demonstration held in Budapest on October 6, 1941. Anti-Nazi and anti-war opposition was rooted in communist, socialist and populist-agrarian political ideology embodied organizationally in the underground Party of Communists in Hungary (Kommunisták Magyarországi Pártja) and the two main interwar parliamentary opposition parties—the Hungarian Social Democratic Party and the Independent Smallholders, Agrarian Workers and Civic Party. Leading figures from these parties united to publish articles advocating an end to Hungary’s participation in the Second World War on the side of the Axis powers in the Christmas 1941 issue of the Hungarian Social Democratic Party newspaper Népszava. Following another anti-war demonstration held in Budapest on March 15, 1942, the government of Prime Minister Miklós Kállay initiated the arrest of several hundred members of the Party of Communists in Hungary. Those detained included the editors of the illegal communist newspaper Szabad Nép: Ferenc Rózsa, who died under unclear circumstances in prison before being brought to trial, and Zoltán Schönherz, who was executed in October 1942 after a military court convicted him of treason. In July 1943, the Hungarian Social Democratic Party (HSDP) and the Independent Smallholders, Agrarian Workers and Civic Party (FKgP) concluded a formal alliance based on a mutual political program centered on withdrawing Hungary from the war and the Axis alliance. Proponent of the Third Road: author László Németh. In August 1943, anti-Nazi intellectuals, political figures and others—most of whom were close to the agrarian parties FKgP and the National Peasant Party (Nemzeti Parasztpárt)—attended the annual conference that the Soli Deo Gloria Reformed youth-organization held in Balatonszárszó, located on the southern shore of Lake Balaton, to discuss various national issues. Based on the premise that the Allies were destined to win the Second World War following the Axis defeat in the Battle of Stalingrad, speakers at the conference examined questions related to Hungary’s post-war political structure and orientation. 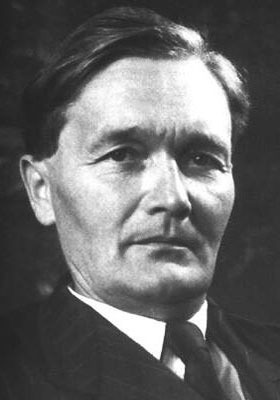 Populist writer László Németh delivered the most influential speech at the conference, proposing that Hungary follow a “third road” (harmadik út) between individualist “Anglo-Saxon” capitalism and collectivist Soviet communism. In 1943, conservative-nationalist aristocrats close to former Prime Minister István Bethlen formed two minor anti-Nazi organizations, the Hungarian National Social Circle (Magyar Nemzeti Társaskör) and the Democratic Civil Alliance (Demokratikus Polgári Szövetség). There was no internal armed opposition in Hungary to the various Horthy-era governments that sustained the country’s alliance with Nazi Germany and participation on the side of the Axis powers in the Second World War. The pro-United Kingdom and -United States government of Prime Minister Miklós Kállay contacted officials from these Allied powers in the neutral capitals of Stockholm, Bern, Lisbon and Istanbul on several occasions in 1943 regarding the conclusion of a separate peace that would withdraw Hungary from the Axis alliance. —and finally, the Kállay government insisted that any separate peace agreement come into effect only when Allied troops reached Hungary’s borders, whereas officials from the United Kingdom and the United States demanded that the Kállay government proclaim surrender before the arrival of Allied military forces to Hungary. Representatives from the Kállay government and the United Kingdom nevertheless concluded a preliminary separate-peace agreement in Istanbul on September 9, 1943. According to this agreement, the Kállay government would immediately surrender without conditions, though would announce this capitulation only when Allied troops reached Hungary. However, this preliminary agreement was never finalized as a result of the decision of the United Kingdom and the United States in 1943 to invade the continent of Europe via France, thus virtually ensuring that the Soviet Red Army would reach Hungary before troops from the Western Allied powers. The anti-communist Kállay government was unwilling to engage in separate-peace negotiations with the USSR. German Occupation of Hungary: Operation Margarethe. 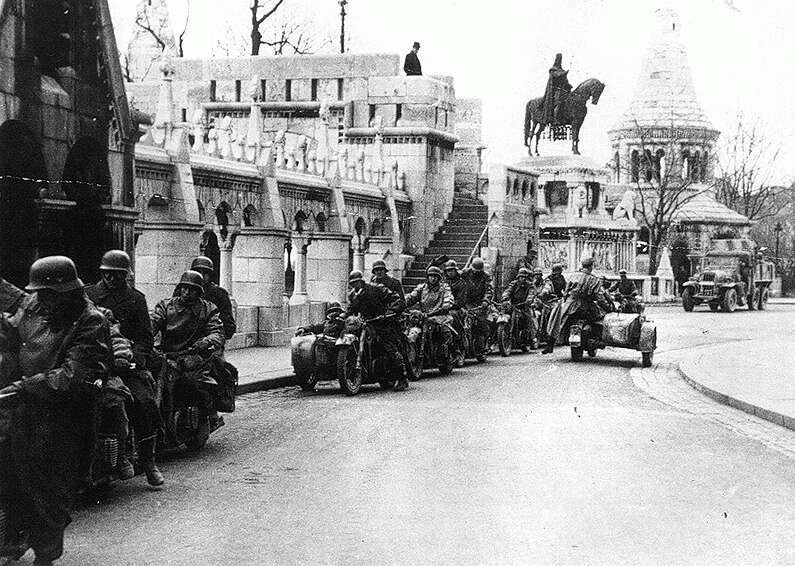 German troops participating in Operation Margarethe at the Fisherman’s Bastion in Budapest. Germany’s military intelligence organization, the Abwehr, closely monitored the separate-peace initiatives of the Kállay government. In September 1943, Hitler therefore instructed the Wehrmacht to plan an invasion of Hungary in order to prevent the country from withdrawing from the Axis and joining the Allies as Italy had done earlier in the month. At the end of February 1944, the Führer ordered military leaders to begin concrete preparations for the military occupation of Hungary officially known as Operation Margarethe I (Operation Margarethe II was the never-launched invasion of Romania). The specific objective of Operation Margarethe was to replace the pro-United Kingdom and -United States Prime Minister Miklós Kállay with a pro-German head of government, thus preventing a possible separate peace with the western Allies and ensuring that Hungary would continue to fight alongside Axis forces on the Eastern Front. 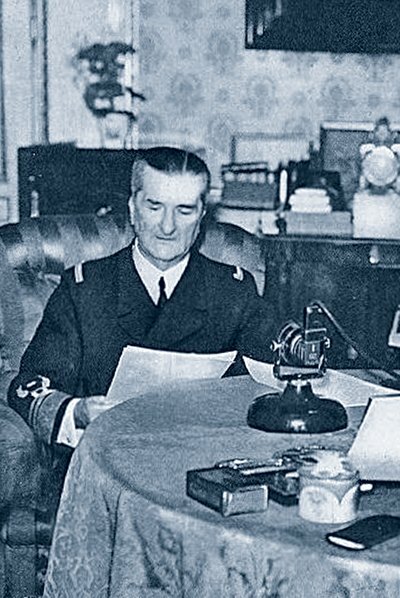 Hitler summoned Regent Horthy to a meeting in Germany on March 18, 1944 in order to notify him of Operation Margarethe and attempt to gain his formal assent to the military occupation of Hungary scheduled to begin the next day. 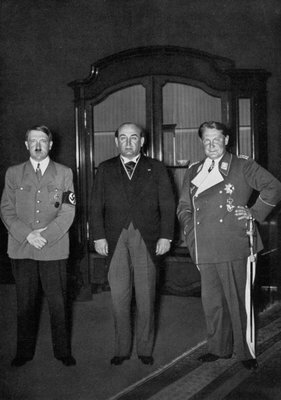 The meeting, which took place in an atmosphere of mutual antagonism at Klessheim Palace near Salzburg in the presence of the foreign ministers and chiefs of the general staff of both Germany and Hungary, produced no written agreement, though Horthy did accede verbally to Hitler’s primary requests to appoint a pro-German prime minister in place of Kállay and to order the Hungarian Royal Army not to resist the impending occupation. Hungary’s anti-German resistance: Endre Bajcsy-Zsilinszky. On March 19, 1944, four German military corps composed of Wehrmacht and Waffen-SS units entered Hungary—one each from Germany (Austria), the Wehrmacht-administered Territory of the Military Commander in Serbia and the German puppet states of the Slovak Republic and the Independent State of Croatia. 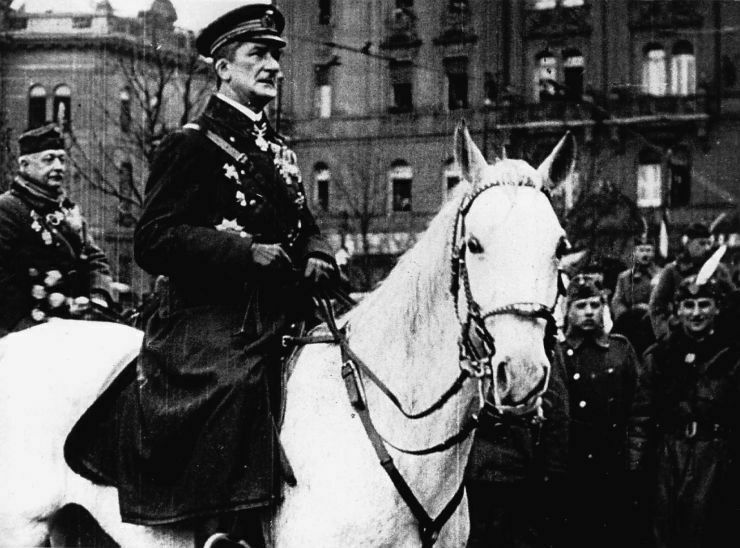 Pursuant to an order from Chief of Staff Ferenc Szombathelyi, the Hungarian Royal Army received the Wehrmacht and Waffen-SS troops as friendly forces. There was, in fact, only one documented case of resistance to Germany’s military occupation of Hungary: opposition FKgP House of Representatives deputy and prominent anti-Nazi journalist Endre Bajcsy-Zsilinszky opened fire with a pistol on Gestapo officers who arrived to his residence in Budapest to arrest him on the first day of the occupation, though he was quickly wounded and taken into custody. On March 22, Regent Horthy appointed the Döme Sztójay, who had been Hungary’s ambassador to Germany since 1935, to serve as prime minister in place of Kállay, who had taken refuge in the Turkish embassy in Budapest the morning of the German occupation. Hitler sent Waffen-SS Major General Edmund Veesenmayer to Hungary to oversee implementation of his government’s objectives in the country under the title of Plenipotentiary of the Greater German Reich (Bevollmächtigten des Großdeutschen Reichs). Veesenmayer had gained the confidence of Hitler in this endeavor through his successful supervision of the establishment of the Territory of the Military Commander in Serbia and the Independent State of Croatia following the Axis invasion of Yugoslavia in April 1941. 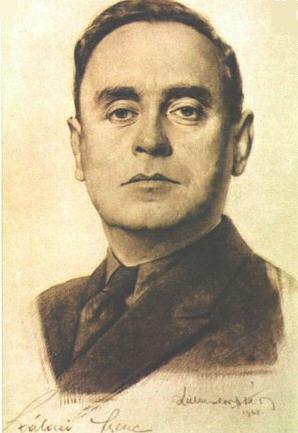 Prime Minister Sztójay, working in close cooperation with Plenipotentiary Veesenmayer, quickly neutralized anti-German political forces in Hungary, banning all major opposition parties and newspapers on March 28 and helping the Gestapo to arrest 3,000 opposition figures by the end of April. Germany’s military occupation of Hungary required so few troops that many of the Wehrmacht and Waffen-SS units deployed in the country moved on to Ukraine in order to reinforce Axis forces attempting to halt the advance of the Soviet Red Army. By June 1944, only 46,500 German troops remained in Hungary (source in Hungarian). Deportation dates of Jews to Auschwitz according to merged Hungarian Royal Gendarmerie district. Approximately 725,000 Jews lived in Hungary in 1944, including 325,000 in territories that the country had regained from Czechoslovakia, Romania and Yugoslavia from 1938 to 1941. The Second Jewish Law of 1939 furthermore classified 100,000 Christians who had either one Jewish parent or two Jewish grandparents as Jews (source in Hungarian). Over a nearly two-year period from 1942 to March 1944, Prime Minister Kállay and Regent Horthy had refused to comply with repeated requests from Hitler and other German officials to deport Jews from Hungary to concentration camps in the General Government and districts of Germany that had been part of Poland during the interwar period and prior to the partitions of the late 1700s. Jewish citizens of Hungary, although subjected to both official and unofficial discrimination, were physically secure from early 1941 to early 1944 as hundreds of thousands of Jews in all surrounding countries and territories—the German Reich, the German-administered General Government and Territory of the Military Commander in Serbia, the German client states of the Slovak Republic and the Independent State of Croatia and the pro-Nazi Kingdom of Romania—fell victim to systematic genocide. However, following the German occupation of Hungary in March 1944, newly appointed Prime Minister Döme Sztójay and Interior Minister Andor Jaross collaborated closely with SS Lieutenant Colonel Adolf Eichmann and other Nazi officials in order to round up and deport Jews living in the country to the Auschwitz-Birkenau concentration camp located in the province of Upper Silesia in Nazi Germany. Regent Horthy was not directly involved in the deportations, though he authorized the Sztójay government to cooperate with the SS in their planning in implementation (source in Hungarian). Rounding up Jews in Budapest. 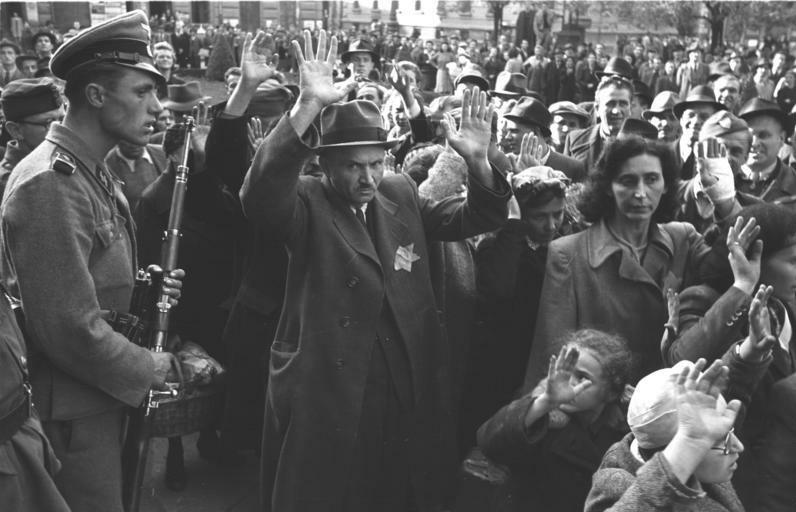 On April 5, 1944, the Sztójay government required all Jews in Hungary over the age of six to wear a yellow Star of David-shaped patch on their clothing in public. On April 16, the Hungarian Royal Gendarmerie began to relocate Jews living outside Budapest to camps and ghettos throughout Hungary in preparation for their deportation to Germany. Hungarian and German officials assured the leaders of Jewish organizations in Hungary that the objective of the deportations was to provide Germany with forced labor. The first deportations took place on May 14, 1944 from the cities of Nyíregyháza and Munkács in eastern Hungary and continued in a westward direction throughout the entire country, with the exception of Budapest, until July 9. 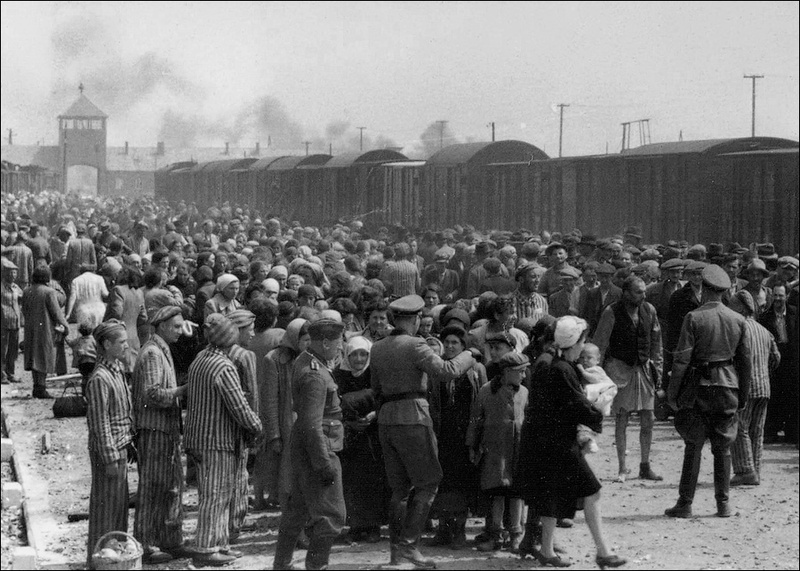 Over this 56-day period, a total of 147 trains transported 437,402 Jews in boxcars to concentration camps in Germany, almost all of them to Auschwitz-Birkenau (source in Hungarian). The Hungarian Royal Gendarmerie carried out the deportations, escorting the trains bound for Auschwitz (Oświęcim) as far as the city of Kassa, where the SS took control of them for the trip through the Slovak Republic to Germany. Regent Horthy ordered the Sztójay government to halt the deportations on July 7, 1944 after political and religious leaders including United States President Franklin D. Roosevelt, King Gustav V of Sweden and Pope Pius XII requested that he do so based on the publication of details from a report on the extermination of Jews at Auschwitz-Birkenau that camp escapees Rudolf Vrba and Alfréd Wetzler had dictated to Jewish Council officials in their native Slovakia in April 1944 and which a Romanian diplomat had smuggled to neutral Switzerland in June (source A in English and B in Hungarian). Selection of newly arrived Hungarian Jews at Birkenau. Nazi officials reluctantly accepted the termination of the deportations because they needed Hungary’s military support in order to halt the Soviet military offensive into German-occupied eastern Europe. Horthy stopped the deportations just as they reached the administrative borders of Budapest, thus preventing the city’s 200,000 Jews from being taken to Auschwitz-Birkenau. An estimated 320,000 of the approximately 430,000 Jews deported from Hungary to Auschwitz-Birkenau were sent to their deaths in the gas chambers immediately after their arrival to the camp, while many thousands—certainly tens of thousands—more who survived the initial selection process were killed or died over the subsequent months of forced labor and starvation. Around 40 percent of the 1.1 million Jews deported to the Auschwitz-Birkenau concentration camp as part of the Nazi Final Solution (Endlösung) were from Hungary (source A and B in English). Allied bombs falling on Budapest. The United States Army Air Forces (USAAF) and the Royal Air Force (RAF) conducted an intensive six-month bombing campaign against Hungary following Germany’s military occupation of the country in March 1944. The aim of the campaign, which began with an RAF attack on Budapest on April 3 and ended with a USAAF attack on Szolnok on September 19, was aimed primarily at destroying railway infrastructure in order to obstruct the transport of Axis troops and military equipment to the Eastern Front and of oil from Romania to Germany. 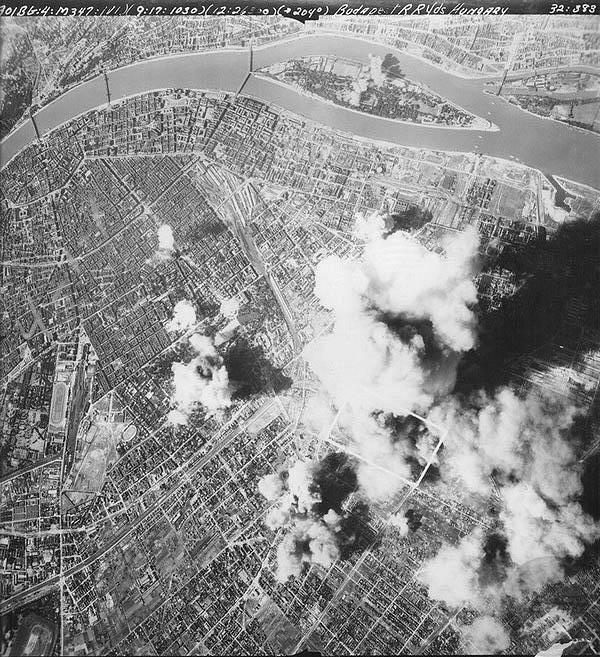 The USAAF and RAF attacks focused on Budapest and other major cities in Hungary, notably Szolnok, Miskolc, Debrecen, Arad, Nagyvárad, Kolozsvár and Szeged. The USAAF conducted many of the attacks as part of the two-and-a-half-month Operation Frantic, which entailed the shuttle bombing of targets in Hungary from aircraft flying between the Foggia Airfield Complex in Allied-occupied southern Italy and Soviet air bases in newly reoccupied eastern Ukraine. Operation Frantic also included direct attacks on railway and oil facilities in Romania. The Soviet Air Forces assumed the primary role in aerial warfare against Hungary in September 1944 with the advance of Soviet ground forces into the country from the east and southeast that month. 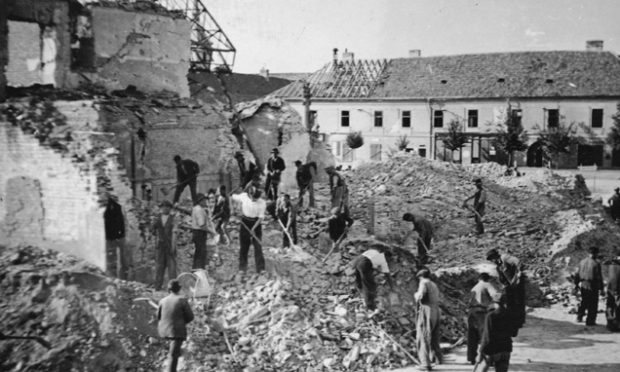 The Allied bombings caused significant material damage to industrial and railway infrastructure in Hungary as well as a large number of casualties: according to official Hungarian data compiled immediately after the war, the air attacks killed 16,000 civilians, including 3,000 in the city of Budapest alone (source in Hungarian). Around 280 Allied planes were shot down over Hungary during the final fifteen months of the Second World War (source in Hungarian). 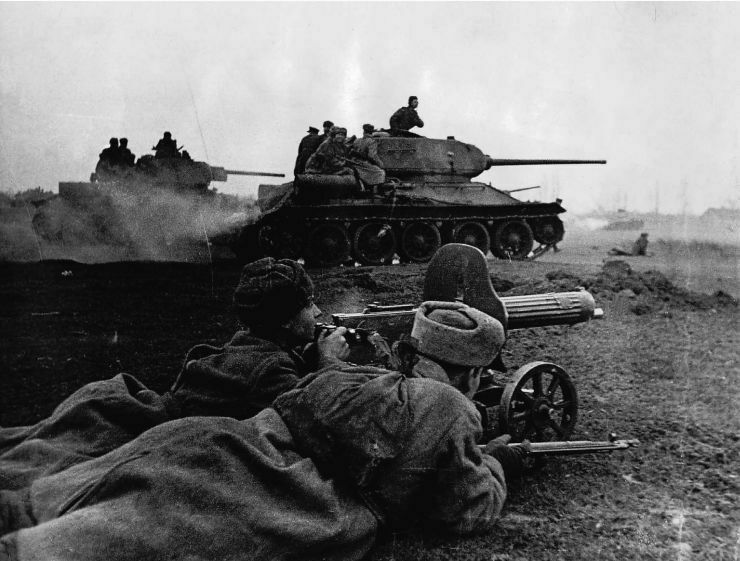 Red Army soldiers invade Hungary in 1944. The Soviet Red Army invaded eastern Romania in an offensive launched on August 20, 1944, recapturing the regions of Bessarabia and northern Bukovina and driving deep into the province of Moldavia. On August 23, King Michael I-led pro-Allied opposition leaders overthrew the pro-German Prime Minister Ion Antonescu in a coup d’état and ended Romania’s alliance with Germany, ordering the Romanian army to cease resistance to the Soviet offensive. 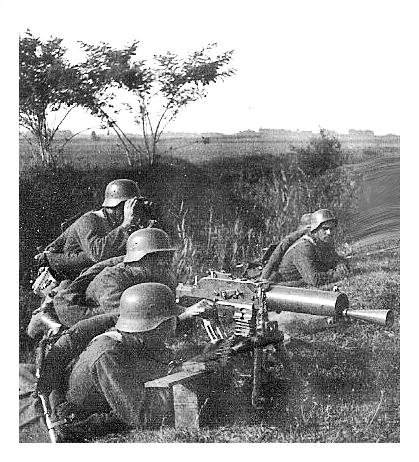 Romania declared war on Germany on August 25 and on Hungary on September 7 as Romanian military forces joined the Red Army offensive that had turned northward in the direction of Hungary (source in Hungarian). Soviet and Romanian forces began their invasion of Hungary with the occupation of the village of Sósmező in southeastern Transylvania (source in Hungarian) on August 27, 1944. As Soviet and Romanian troops advanced into the section of northern Transylvania that had been returned to Hungary in 1940, Hungarian and German military forces launched an invasion of Romanian-controlled southern Transylvania on September 5 with the objective of establishing a defensive position along the Carpathian Mountains (source in Hungarian). This German-Hungarian offensive quickly stalled, although not before occupying a significant section of trans-border territory in southern Transylvania, including the city of Arad. Soviet-Romanian occupation of selected locations in Hungary at the end of the Horthy era (click to enlarge). Soviet and Romanian troops repelled this offensive, driving German and Hungarian forces out of southern Transylvania after defeating them in the month-long Battle of Torda (Turda) in early October. Meanwhile, Soviet-Romanian forces advanced steadily into Hungary, recapturing Arad on September 22, the towns of Battonya and Makó on September 26, Marosvásárhely on September 28, Nagyvárad on October 2 and Kolozsvár and Szeged on October 11. Soviet and Romanian forces reached the Tisza River opposite the city of Szolnok by the latter date and engaged German and Hungarian forces in the Battle of Debrecen, one of the largest armored engagements of the Second World War, beginning on October 6. Members of the Romanian paramilitary militia known as the Maniu Guard killed dozens of Hungarian civilians at various locations in northern Transylvania following the Soviet-Romanian occupation of this region in September and October of 1944. Anti-German resistance and Soviet forces gained ground directly to the north and south of Hungary in the late summer and early autumn of 1944 as well: insurgents in Slovakia occupied the entire central portion of the country over a period of two weeks following the outbreak of the Slovak National Uprising on August 29, holding this territory until Waffen SS and Wehrmacht forces from Germany and Hungary suppressed the revolt at the end of October; in late September, Red Army and Yugoslav Partisan troops launched a coordinated offensive to liberate the Territory of the Military Commander of Serbia from German control, driving to the outskirts of Belgrade by the middle of October. In late August, the Soviet Red Army reached the eastern border of the Hungarian-controlled region of Subcarpathia in Ukraine, taking up position along this line in order to concentrate forces in Romania for the attack on Hungary from the south. Regent Horthy delivers radio address. With Soviet and Romanian military forces advancing steadily through northern Transylvania and the Great Hungarian Plain toward the Tisza River in September, 1944, Regent Horthy and newly appointed head of government General Géza Lakatos decided to attempt to withdraw Hungary from the war, just as the Kállay government had done without success in 1943. However, whereas the Kállay government had focused its effort to end Hungary’s participation in the war on the side of the Axis powers exclusively on conclusion of a separate-peace agreement with the United Kingdom and the United States, the Lakatos government recognized that under the prevailing circumstances it must above all seek armistice with the Soviet Union. On September 28, 1944, the Lakatos government sent police and gendarmerie superintendent General Gábor Faragho to Moscow in order to conclude a separate peace with the USSR. On October 11, Faragho signed a secret preliminary armistice agreement which stipulated that Hungary’s government would remove all state employees and military forces from territories regained from neighboring countries from 1938 to 1941, order the Hungarian Royal Army to cease fighting against the Red Army and declare war on Germany. German intelligence was fully aware of the attempt of Regent Horthy and Prime Minister Lakatos to end Hungary’s alliance with Germany and state of war with the Soviet Union: therefore in early October the Wehrmacht began planning Operation Panzerfaust intended to overthrow Horthy and Lakatos and bring Arrow Cross leader Ferenc Szálasi to power with the help of a Waffen-SS commando unit under the leadership of Colonel Otto Skorzeny. On the morning of October 15, 1944, the date on which German intelligence had learned Horthy planned to publicly announce the armistice with the Soviet Union, Skorzeny’s Waffen-SS unit kidnapped Miklós Horthy Jr., the regent’s sole surviving offspring, and took him to the Mauthausen concentration camp in Germany (Regent Horthy’s other son, Hungarian Royal Air Force pilot István Horthy, had been killed in a non-combat fighter-aircraft crash on the Eastern Front in 1942). On the afternoon of October 15 Regent Horthy transmitted messages regarding the armistice, neither of which specifically mentioned the Soviet Union or specified that the truce had already been concluded, to both the public and the military via Hungarian Radio. Horthy’s message to the civilian population declared “I have advised the local representatives of the German Reich that we are concluding a preliminary armistice with our previous adversaries and I cease (beszüntetek) all hostilities against them” (source in Hungarian). The regent’s message to the military stated “I have decided to ask for an armistice. As the supreme warlord of the armed forces, I summon you to faithfully and dutifully carry through with my orders issued through your supreme commanders in compliance with your military oath” (source in Hungarian). 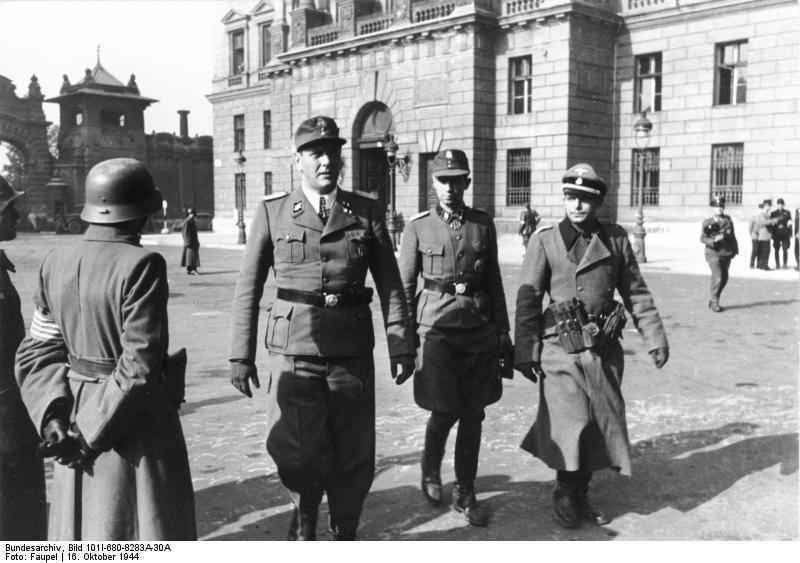 Waffen-SS Colonel Otto Skorzeny on Castle Hill in Budapest on October 16, 1944. Horthy had previously informed only a few trusted members of the Lakatos government and Hungarian Royal Army generals about the armistice. 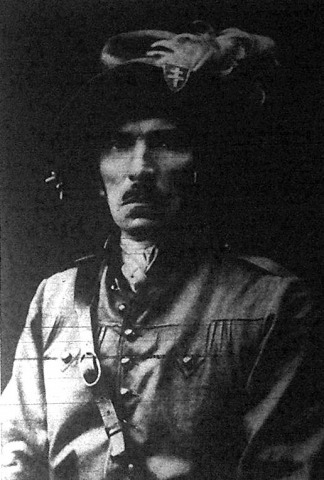 Among the latter, First Hungarian Army General Béla Dálnoki Miklós issued the order to his troops with little effect before fleeing with some of his immediate subordinates to Soviet-occupied territory along the border of Subcarpathia, while the Germans arrested Second Hungarian Army General Lajos Dálnoki Veress before he could transmit the command. Other high-ranking Hungarian Royal Army officers declined to convey Regent Horthy’s ambiguously phrased order to their troops either because they were unable to interpret its precise meaning or because they remained loyal to their German allies and/or opposed truce with the USSR. As a result, the Hungarian Royal Army failed to comply with Horthy’s armistice command and continued to fight with unabated intensity alongside the Germans against the Soviets and Romanians. On the morning of October 16, Wehrmacht and Waffen-SS troops prepared to take the lightly defended Royal Castle in Budapest, where Regent Horthy and his advisors were holding out. However, before the Germans could launch the military phase of Operation Panzerfaust, the regent decided that resistance was futile and initiated talks with Plenipotentiary of the Greater German Reich Veesenmayer. 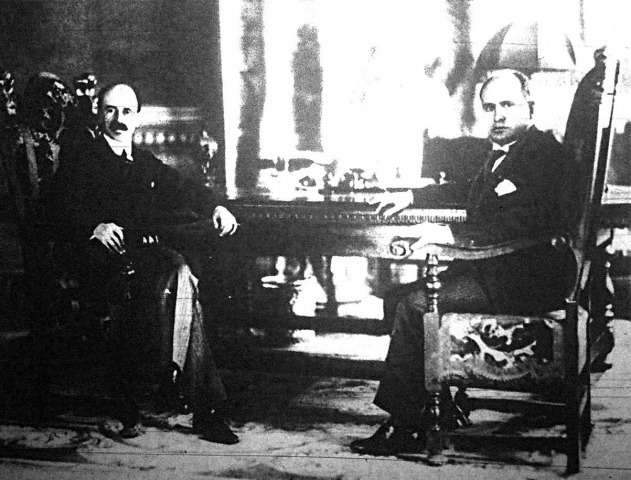 In exchange for assurances that his son would be released from captivity, Horthy complied with Veesenmayer’s demands that he resign from his office as head of state, appoint Arrow Cross leader Szálasi to serve as prime minister in place of General Lakatos and sign a statement officially revoking his previous day’s proclamation of armistice. On October 17, 1944, the Germans took Horthy and his wife into exile at the Schloss Hirschberg in Bavaria, where they were kept under heavy Waffen-SS guard until the end of the war. Regent Miklós Horthy and the various governments that functioned in Hungary during the 24-year period in which he served as head of state sought to attain the following primary objectives: to rebuild the neo-feudal, Christian-nationalist foundations of the Hungarian state that had been destroyed in the liberal-left revolutions immediately following the First World War; to suppress the “Judeo-Bolshevik” Marxist-communist ideology that posed the greatest threat to these foundations; and to regain territory that the Kingdom of Hungary lost to neighboring states via the 1920 Treaty of Trianon. Horthy and his appointed prime ministers conducted their most momentous and fateful undertakings in order to achieve the above objectives: affiliation with the Axis alliance in 1940 (to regain lost territory); invasion of the Soviet Union in 1941 (to combat Bolshevism); and deportation of over 400,000 Jews to Auschwitz in 1944 (to avoid conflict with Germany through sacrifice of the “non-essential” element in Christian-nationalist Hungarian society). These actions failed to produce their intended results over the long term and led to hundreds of thousands of military and civilian deaths, thus serving to compound the injury of Trianon with those of the Eastern Front and the Holocaust. Hungarian society has still not yet come to terms with the traumas of Trianon and the Holocaust—lack of closure manifested in rigid attachment to the largely mythical notion of Greater Hungary and the Trianon memorials that have sprung up throughout the country; and the persistence of anti-Semitism and the blatantly (self-) deceptive German Occupation Memorial in Budapest. One wonders: how might the course of Hungarian history have changed had the interwar political leaders of Hungary espoused more progressive ideas and the leaders of the post-First World War victorious powers redrawn the borders of the country fairly, without permitting their own strategic considerations to override the Wilsonian principle of national self-determination? In political terms, might Hungary currently look more like the liberal democracies of the European Union and less like the authoritarian democracies of Russia and Turkey? Excellent article. Do you have any further information on the activities of Pál Pronay during the period 1936-1938? Recently I read a novel set in that period of time, which includes a character whose description is very similar to Pronay. Presuming that you do not read in Hungarian, I would suggest this article: Béla Bodó, Pál Prónay: Paramilitary Violence and Anti-Semitism in Hungary, 1919–1921.